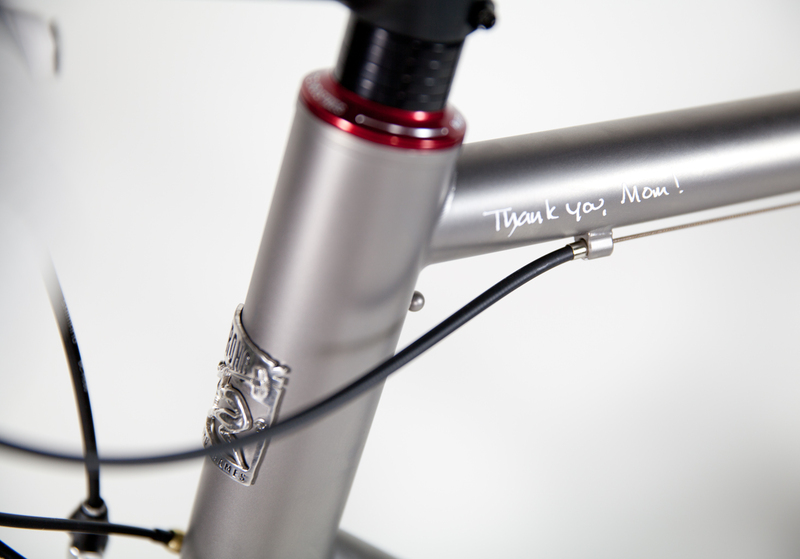 Just shipped to Eric in my home town of Seattle. 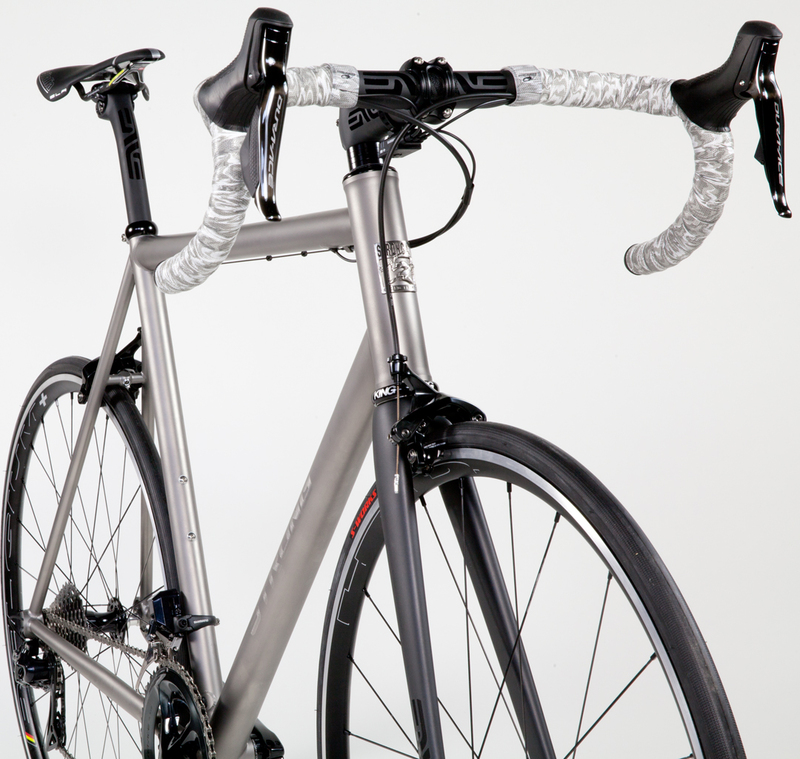 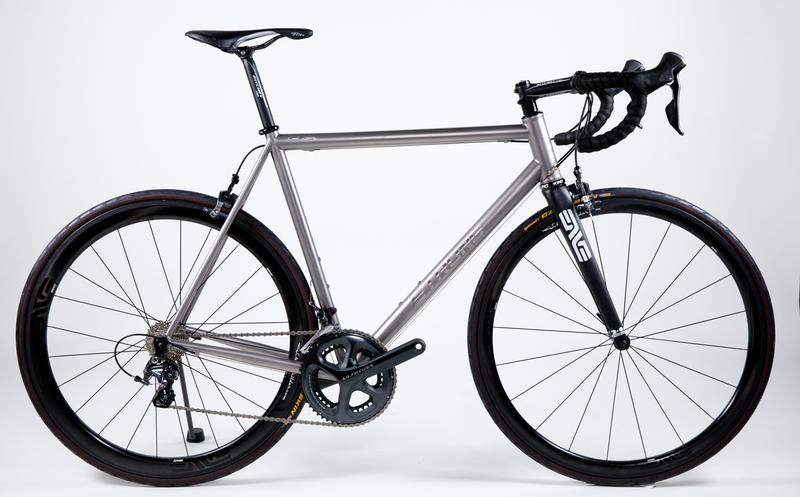 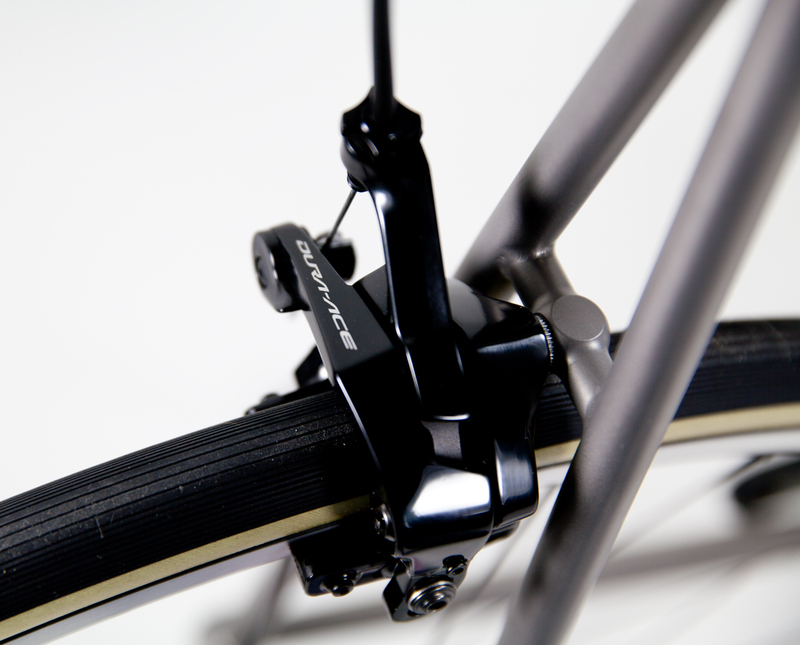 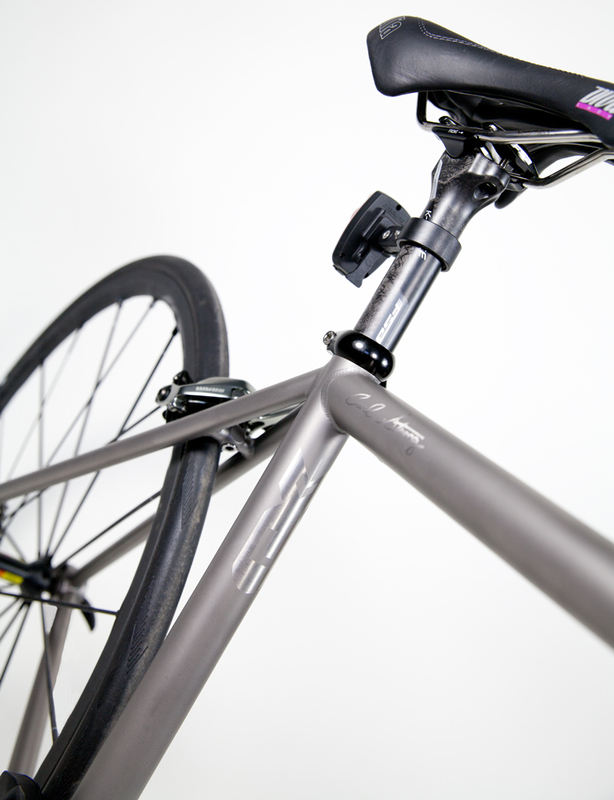 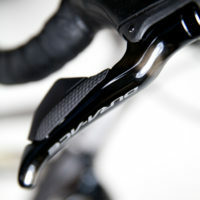 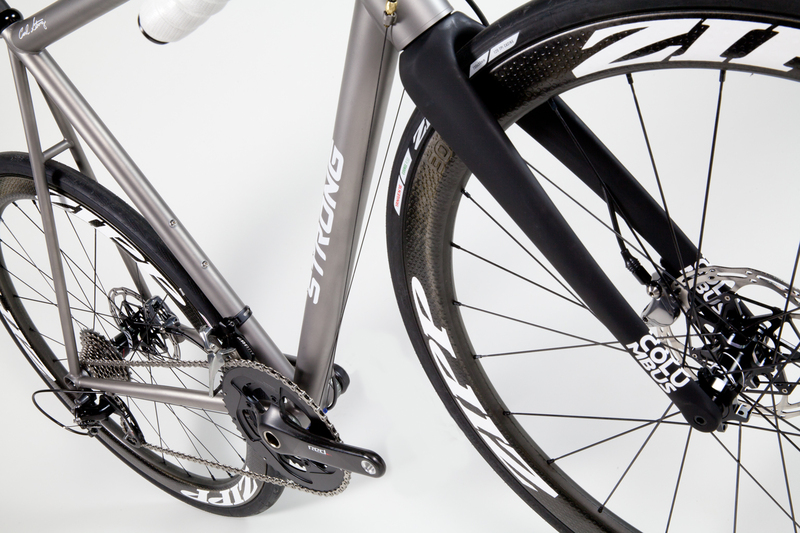 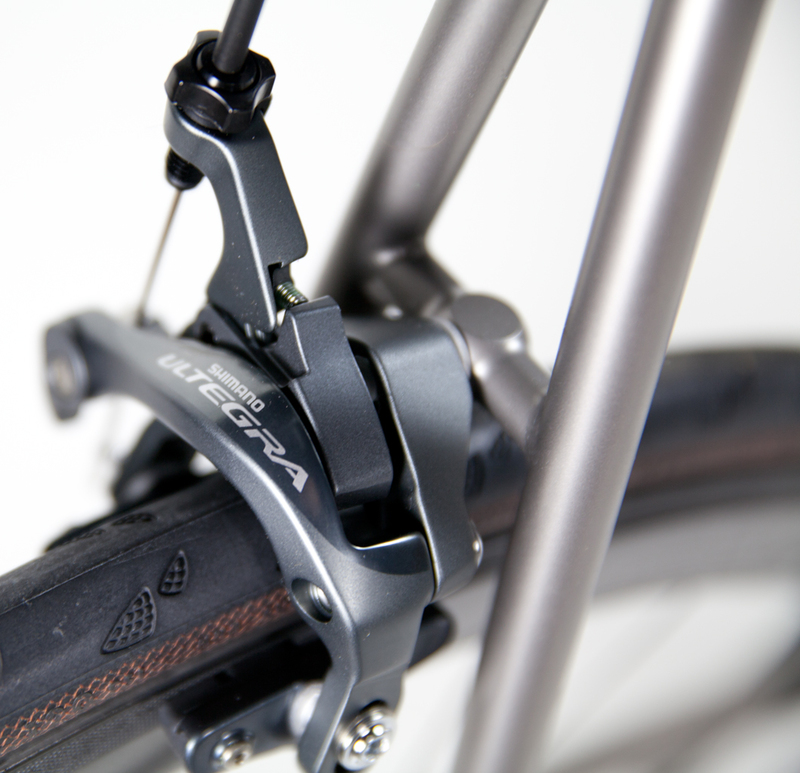 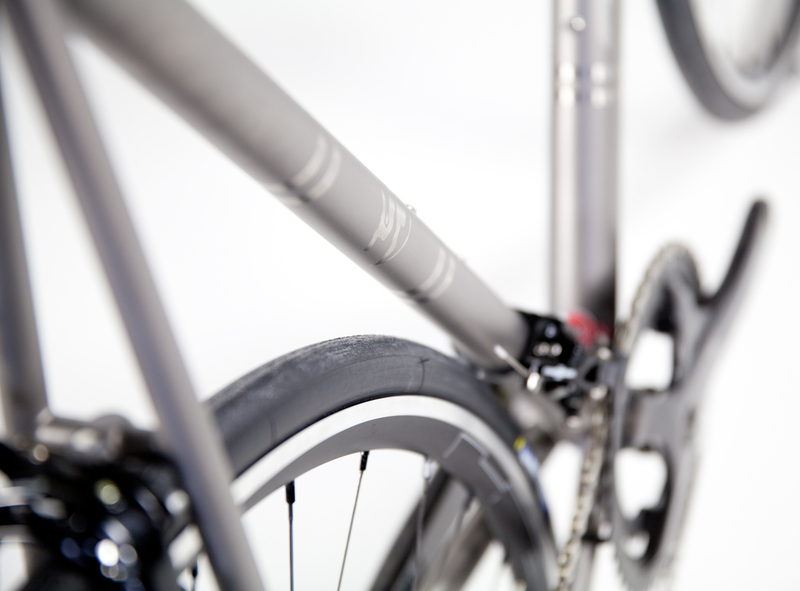 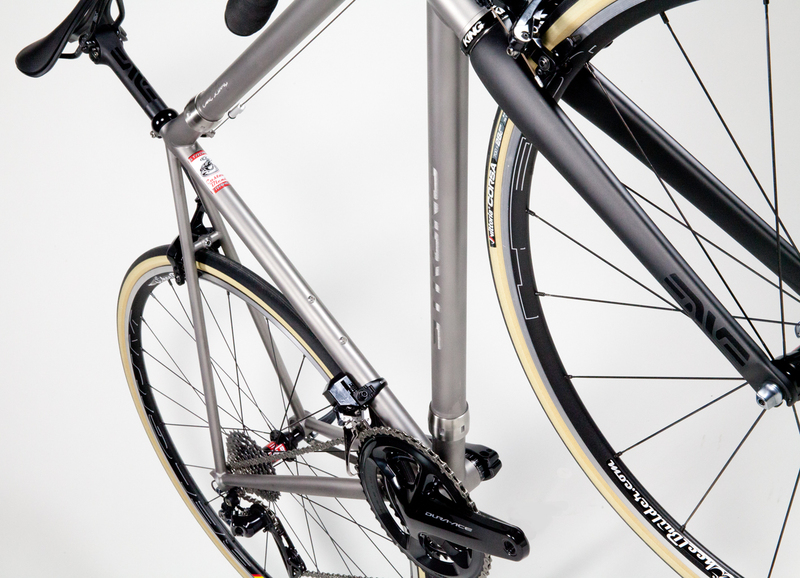 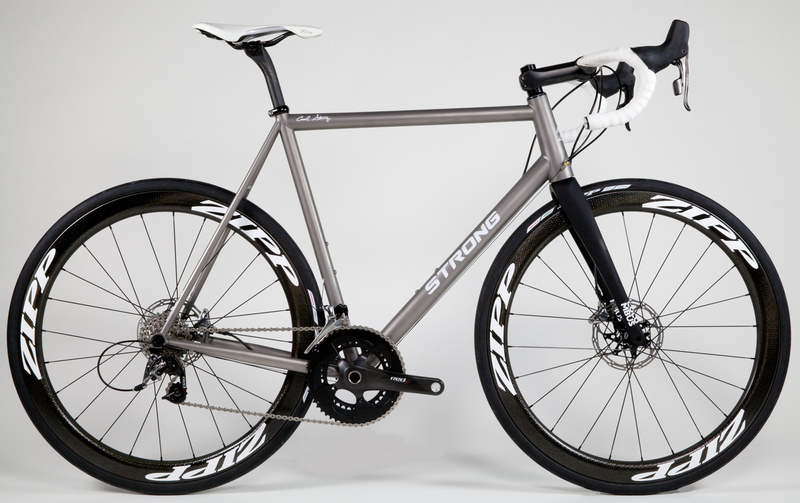 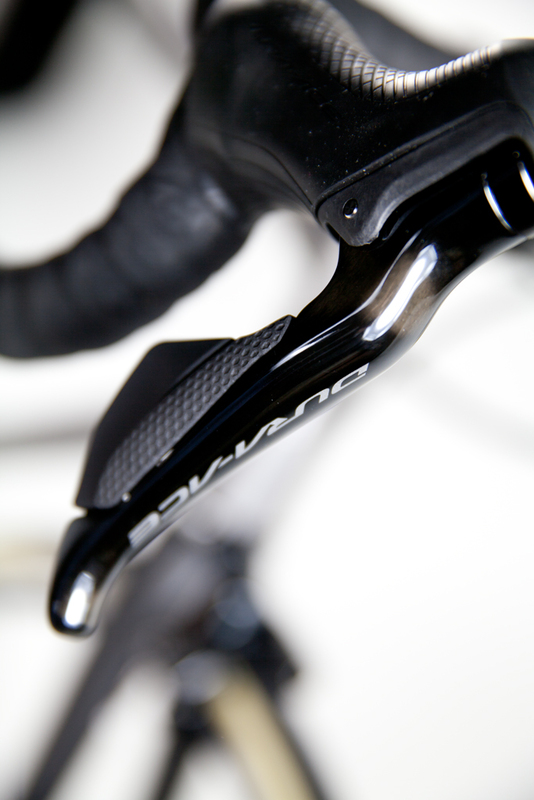 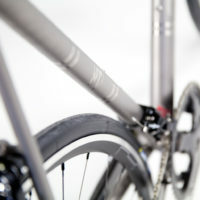 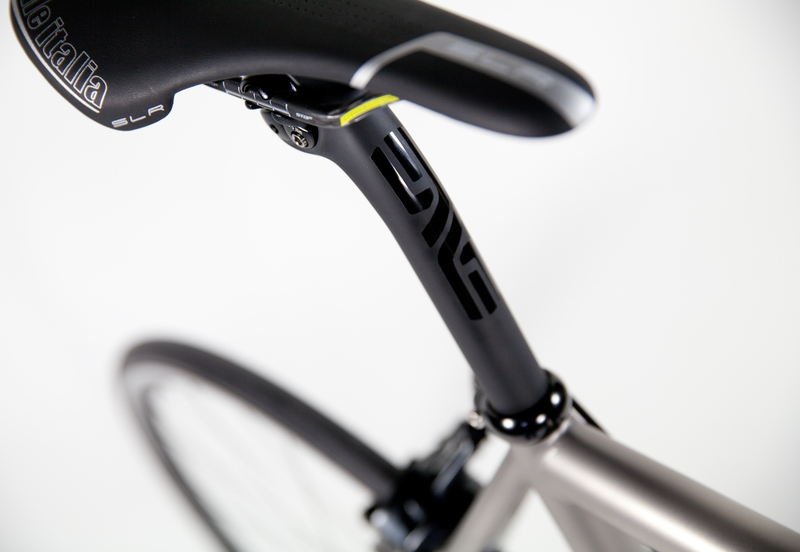 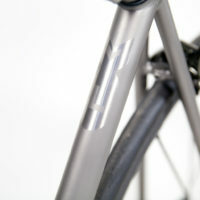 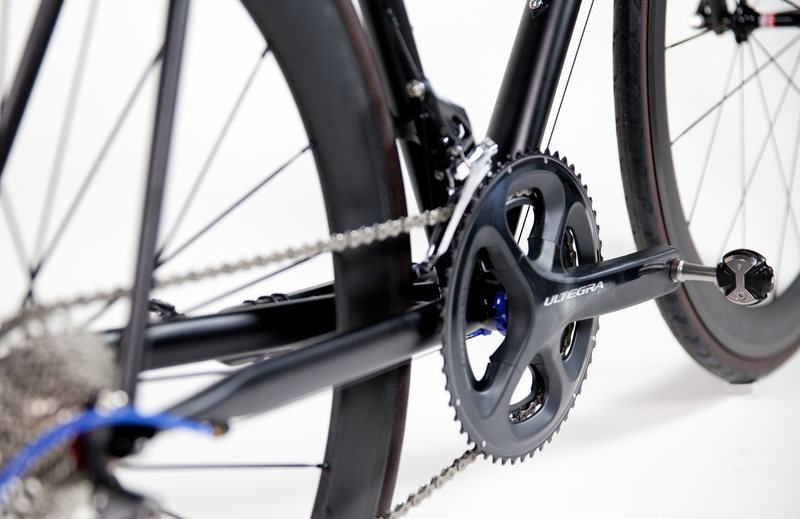 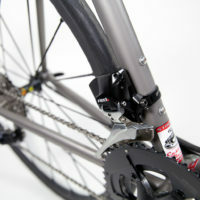 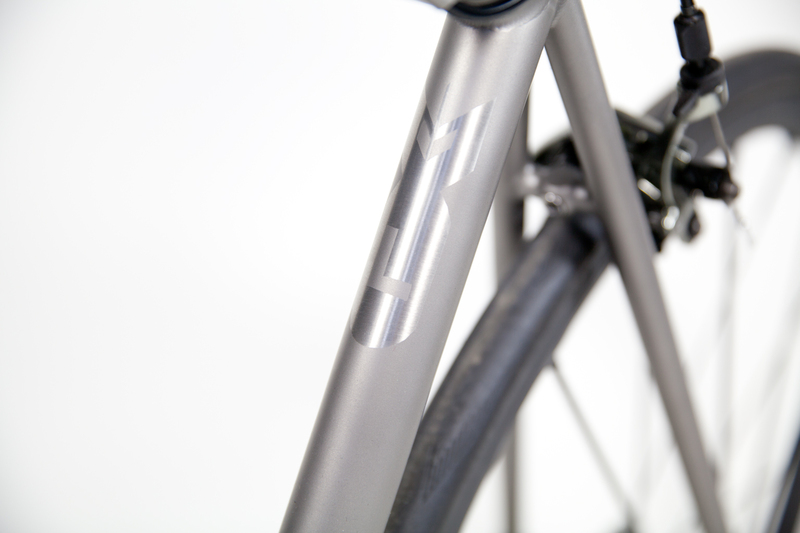 Titanium Road with Dura Ace 9100 Di2. 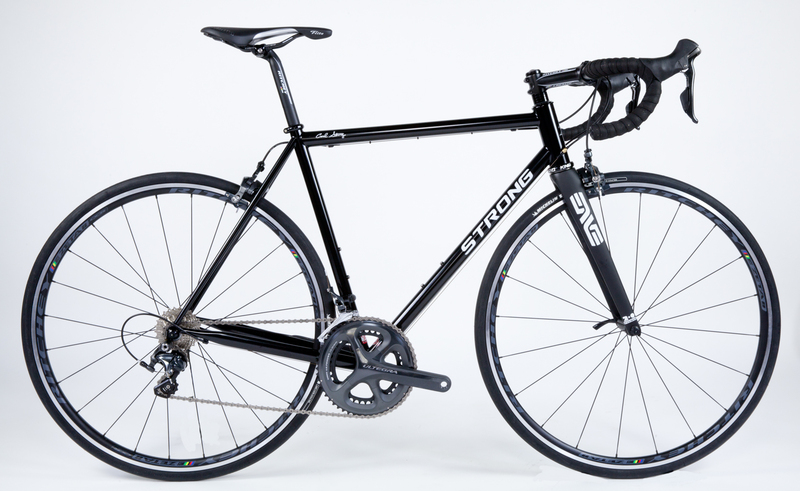 Eric is a pilot and travels with his bike a lot. 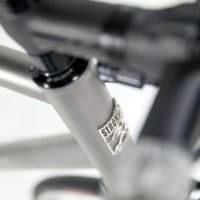 So we added S&S couplings to make it easy to take along. 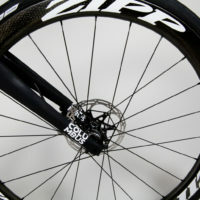 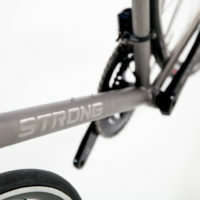 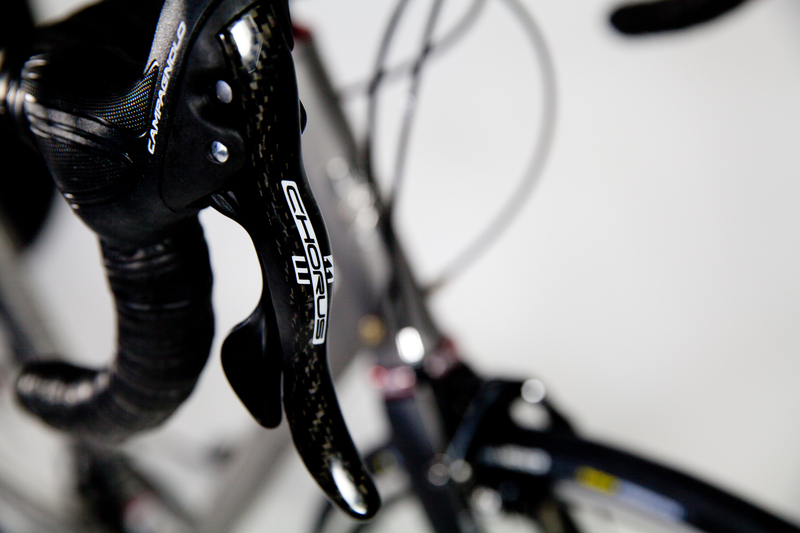 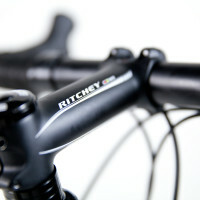 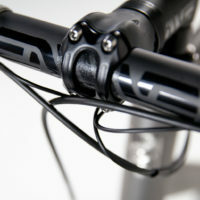 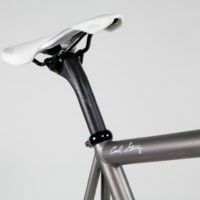 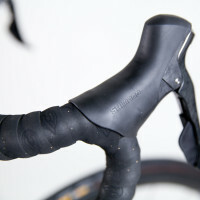 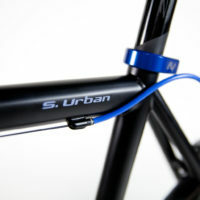 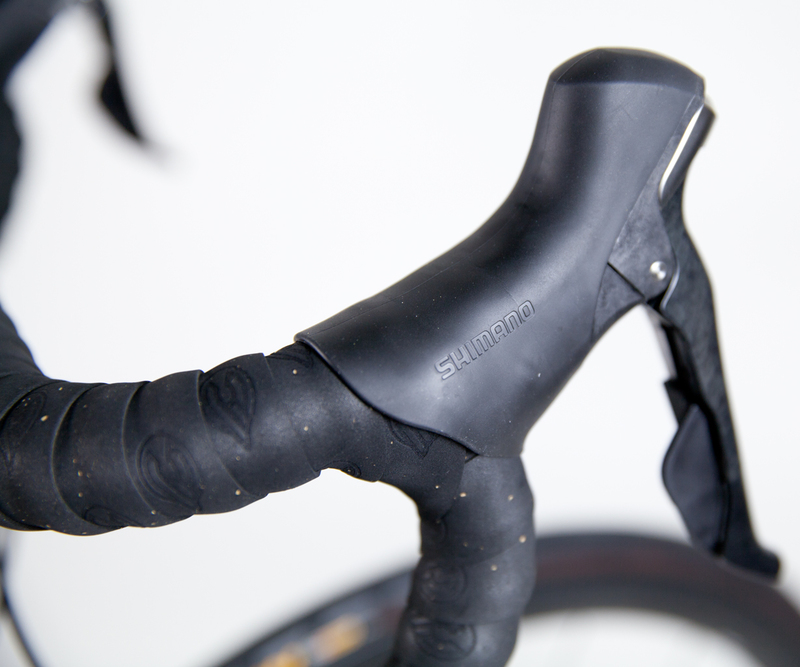 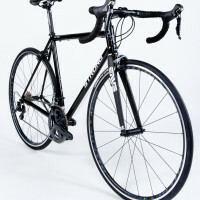 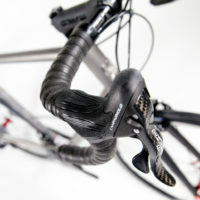 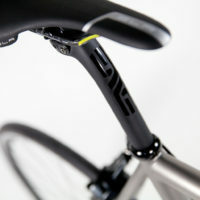 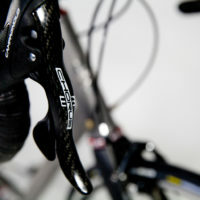 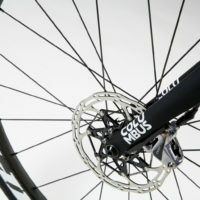 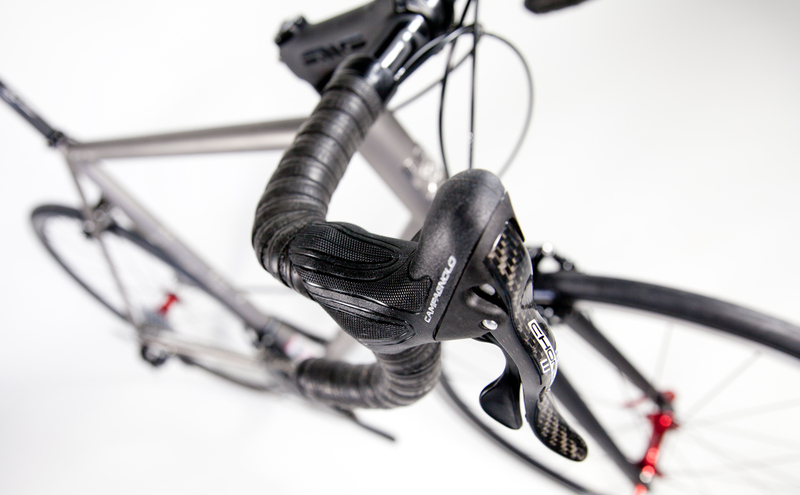 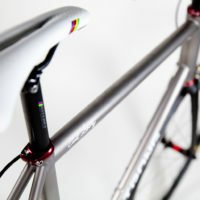 You can see more road bikes in our road gallery here. 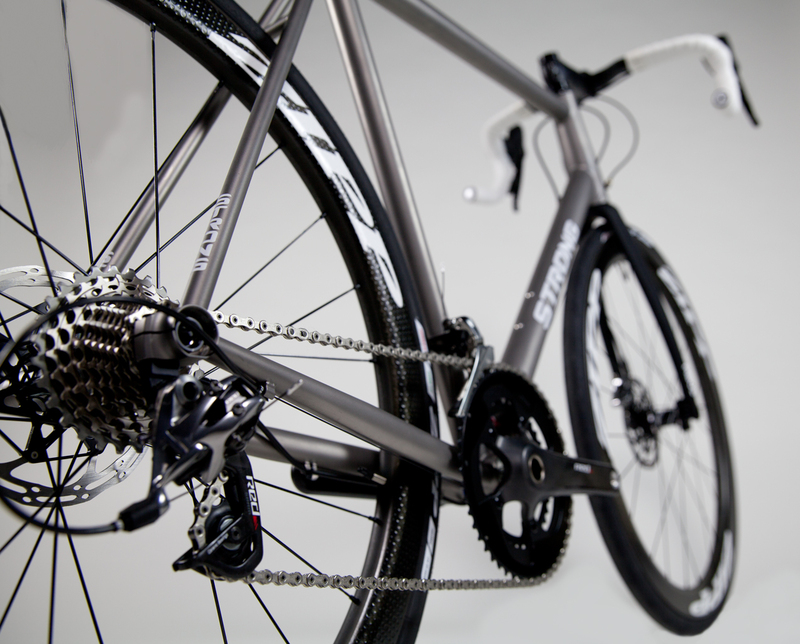 Titanium Road with SRAM eTap. 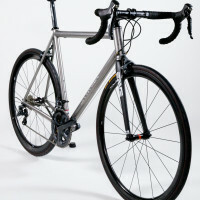 This is the first new bike I’ve built Loretta in 17 years. 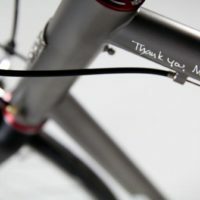 Despite owning a bike company, she loved her old bike so much she wouldn’t let me replace it. 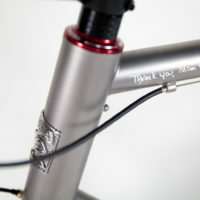 Let’s hope she likes this one just as much. 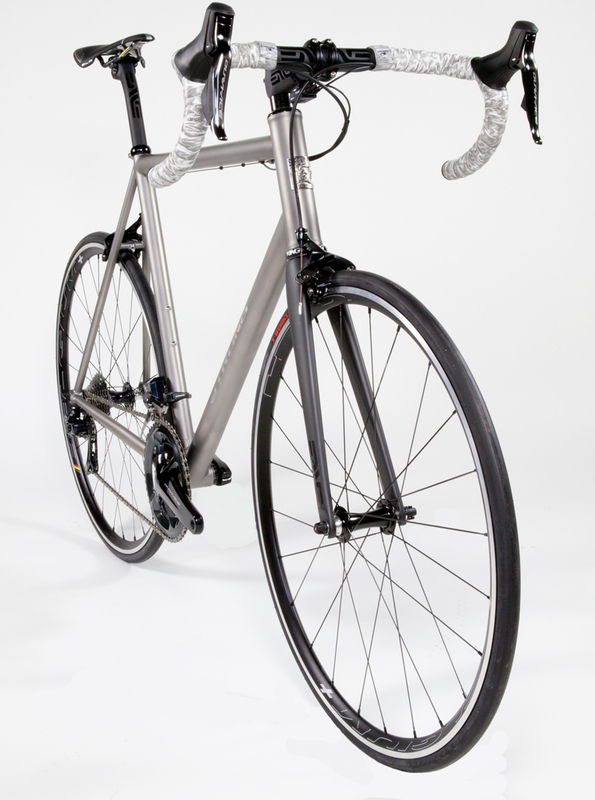 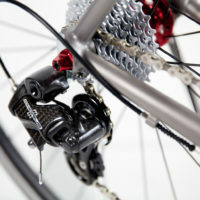 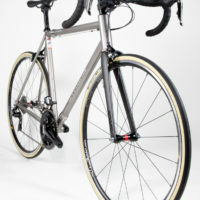 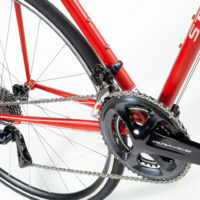 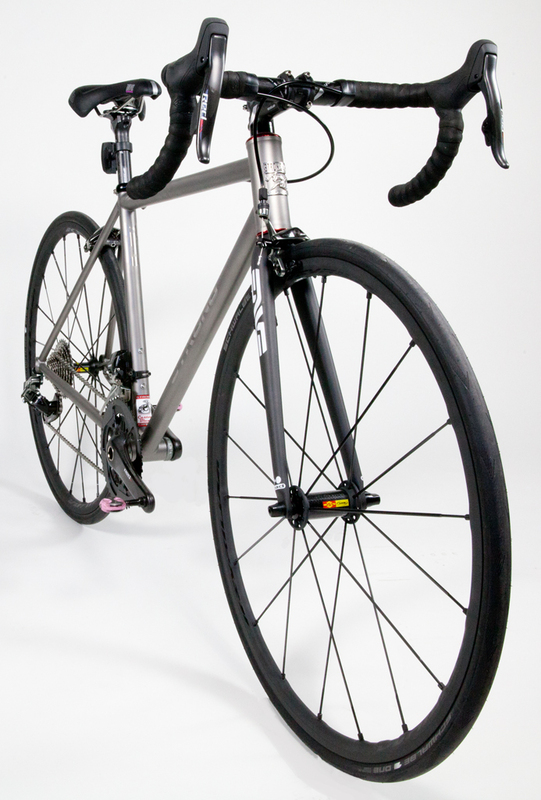 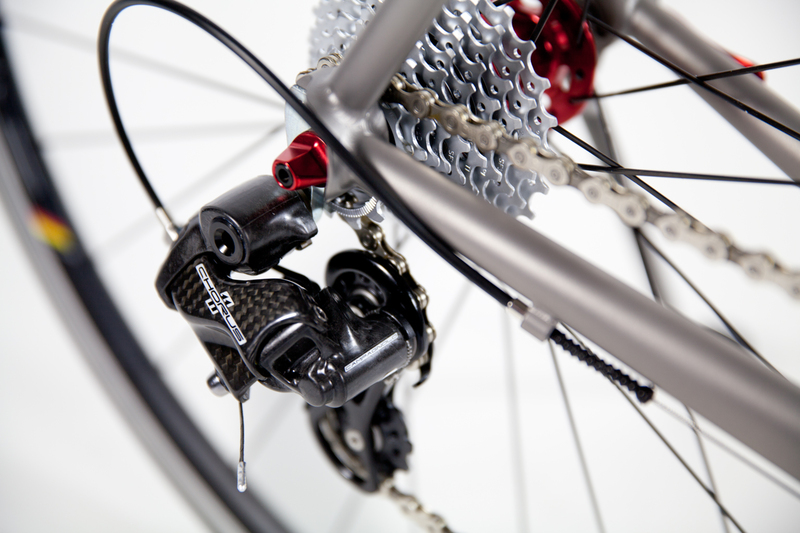 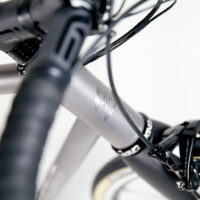 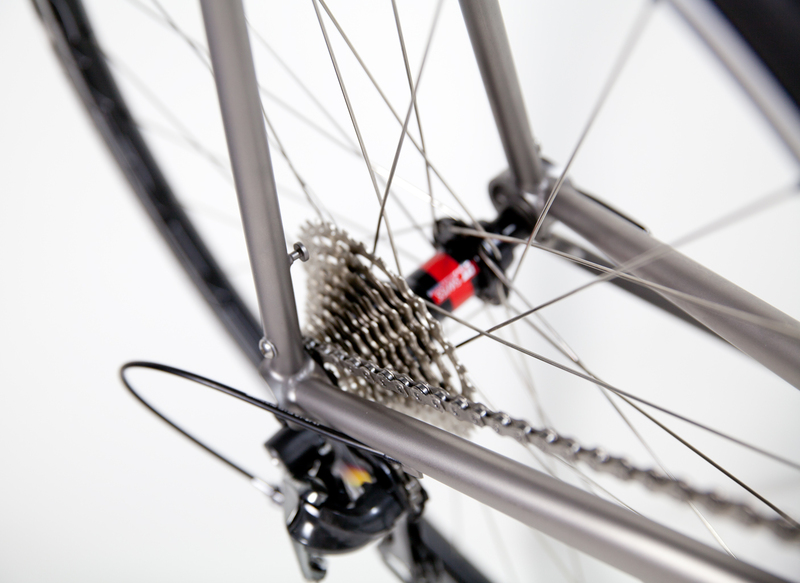 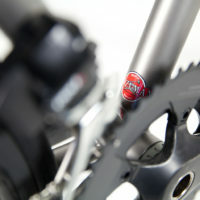 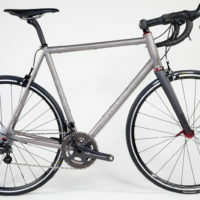 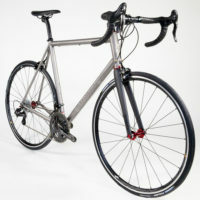 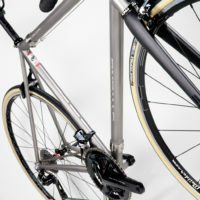 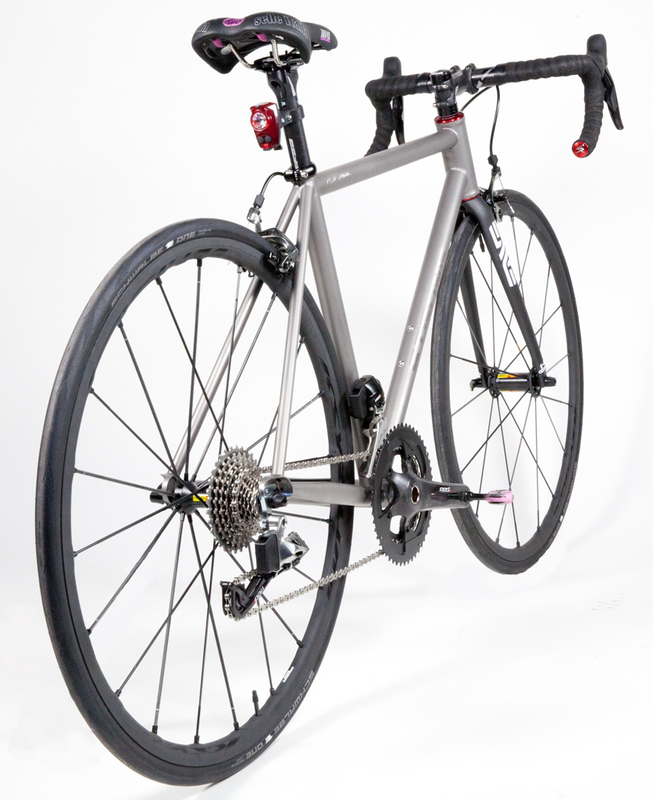 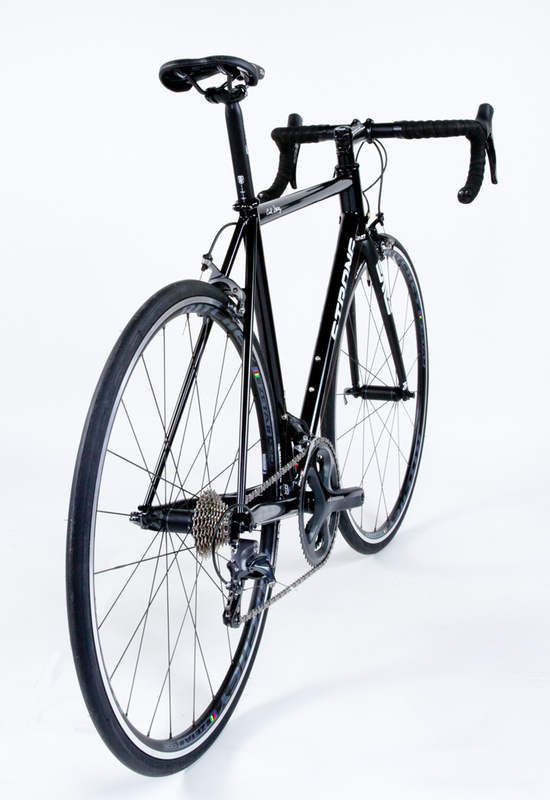 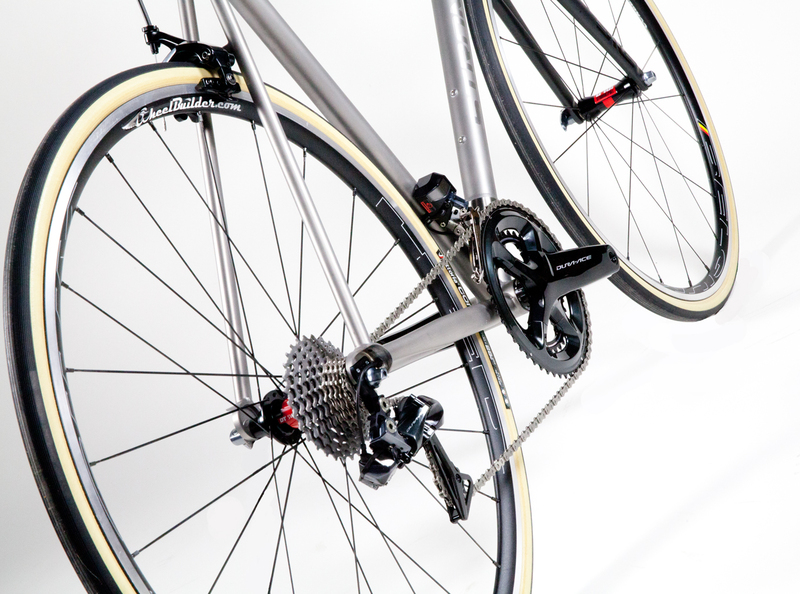 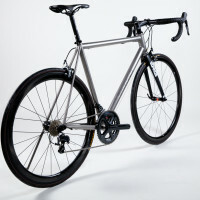 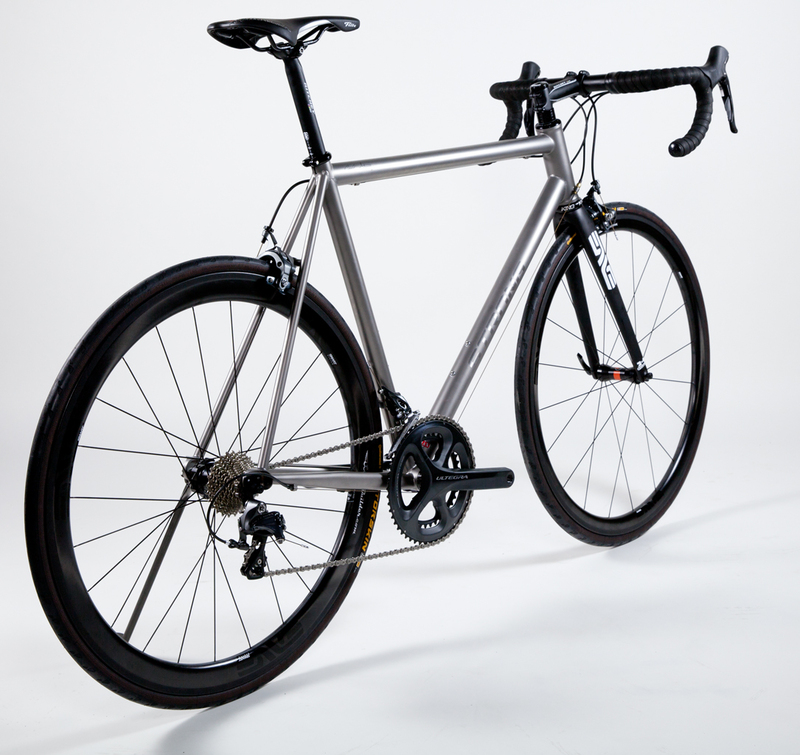 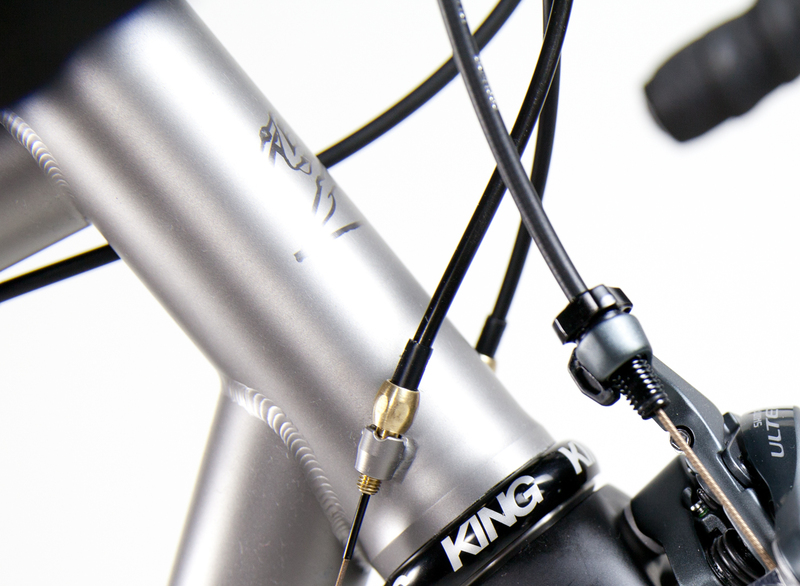 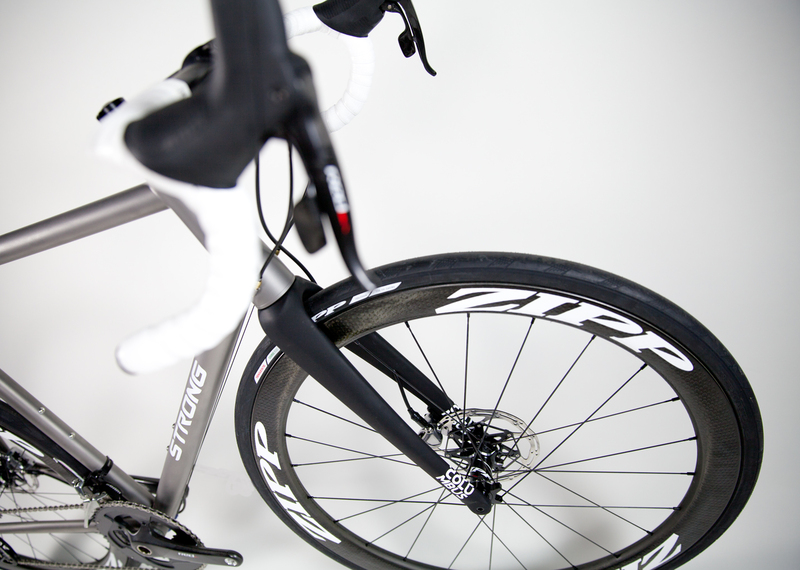 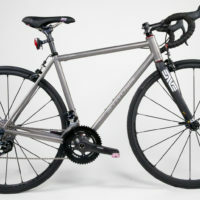 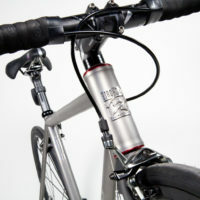 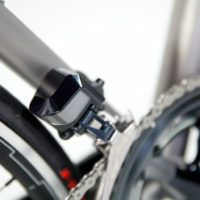 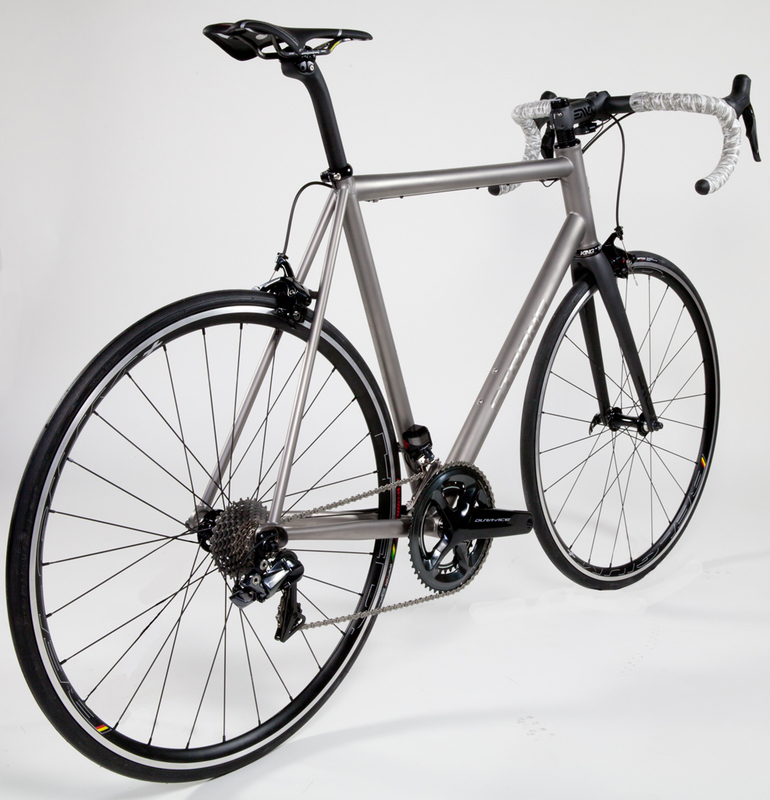 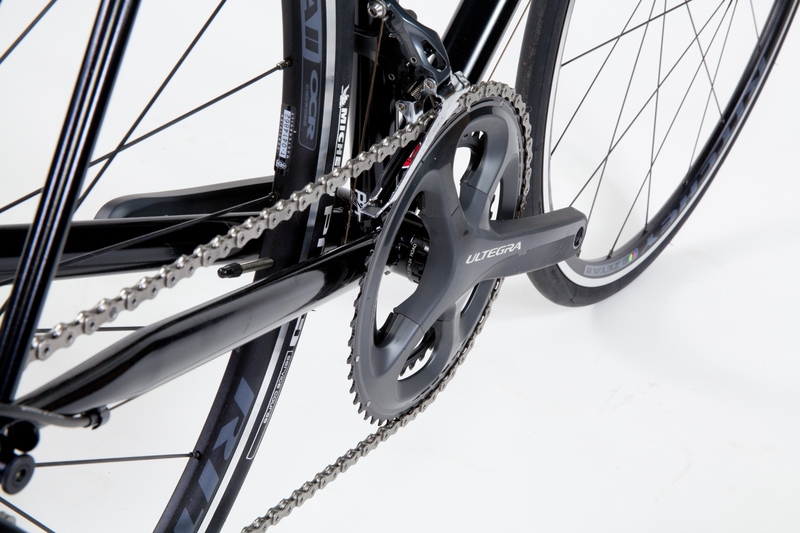 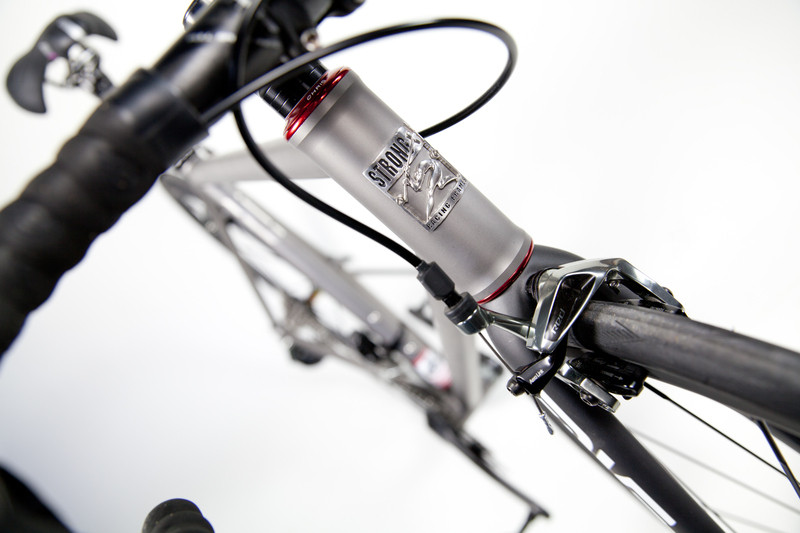 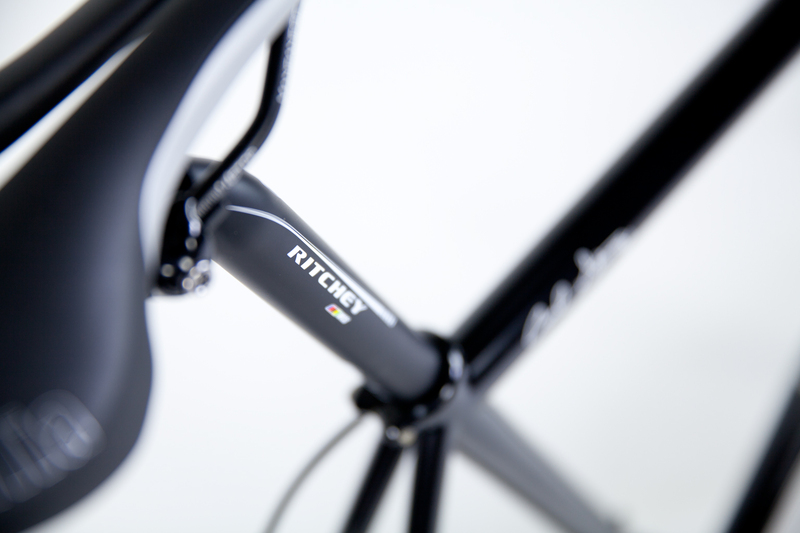 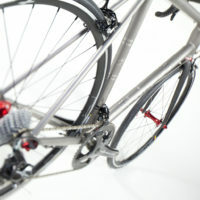 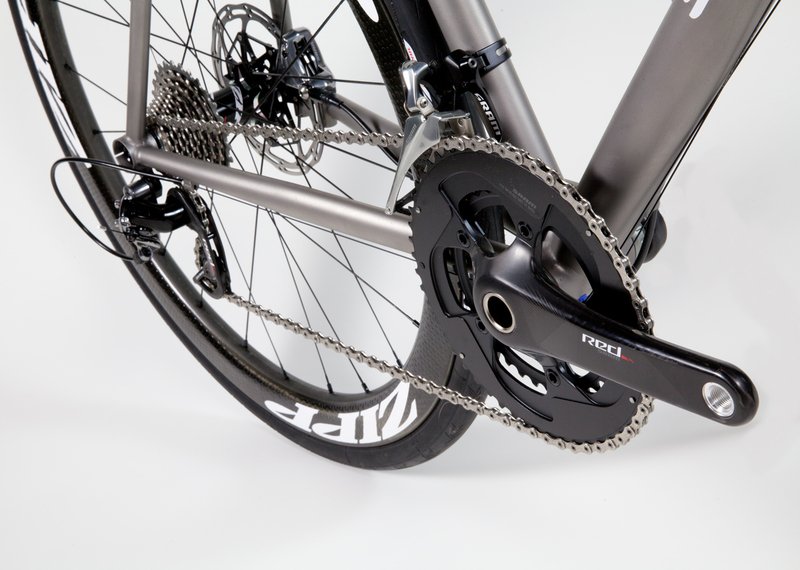 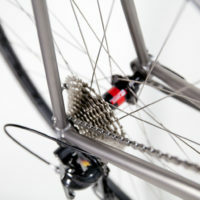 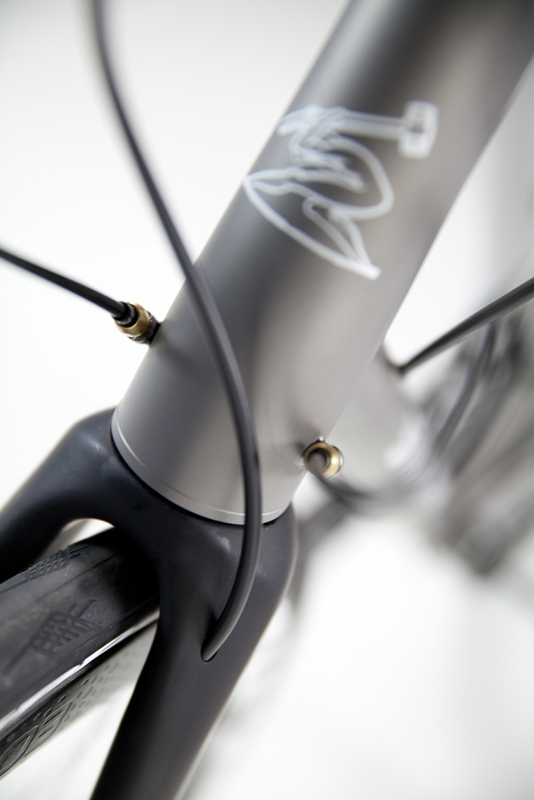 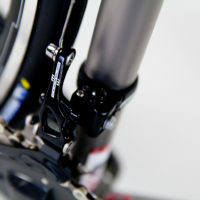 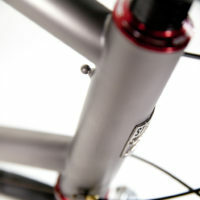 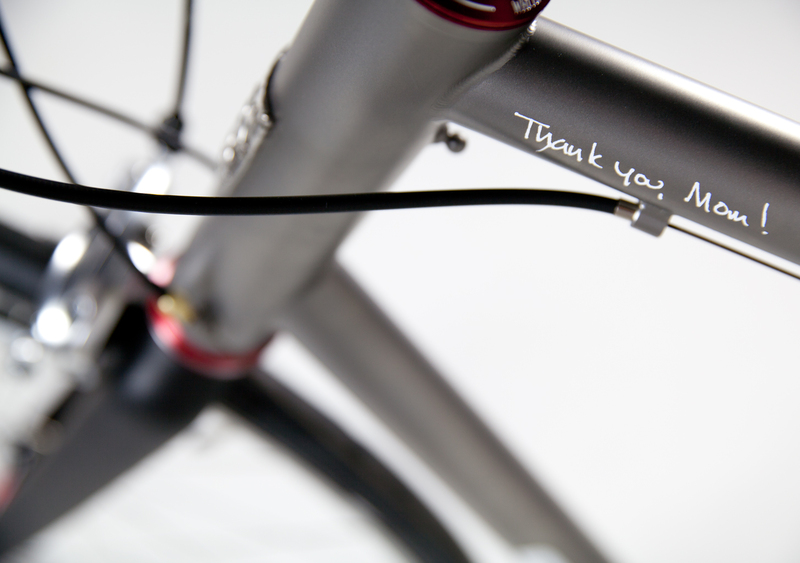 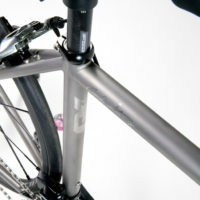 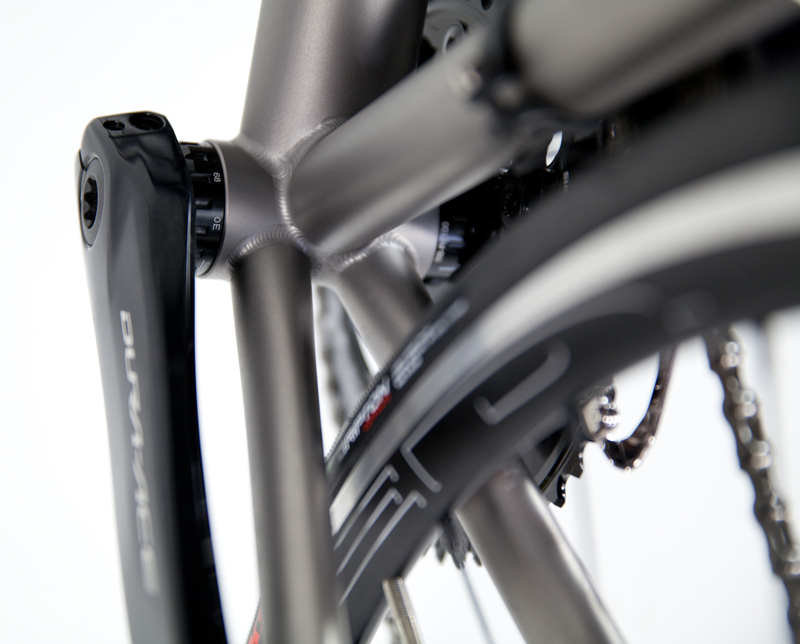 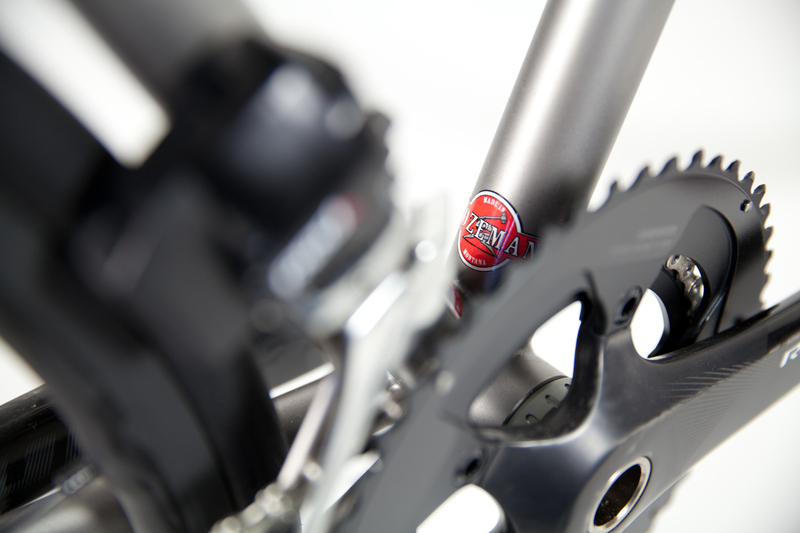 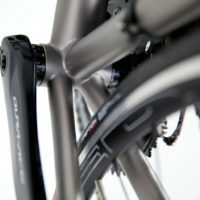 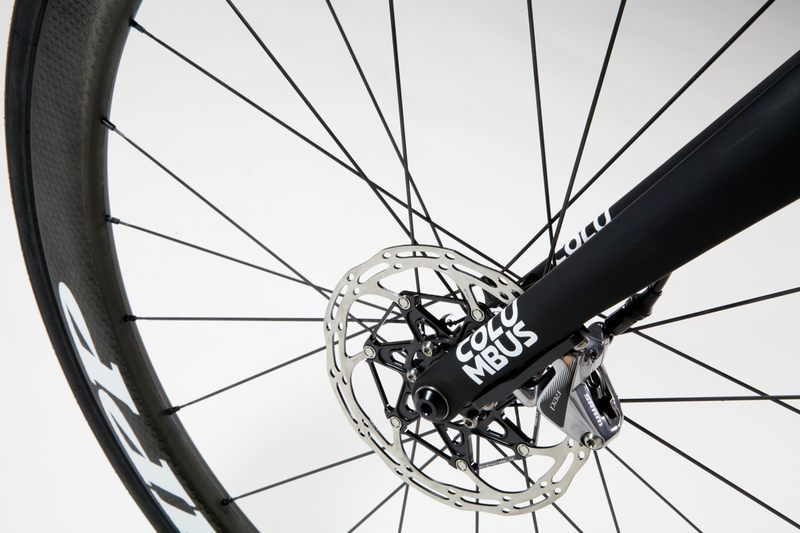 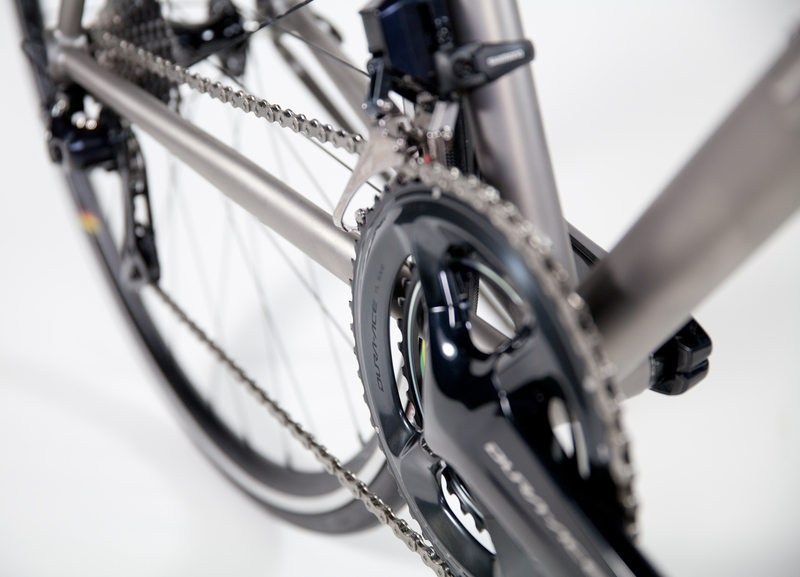 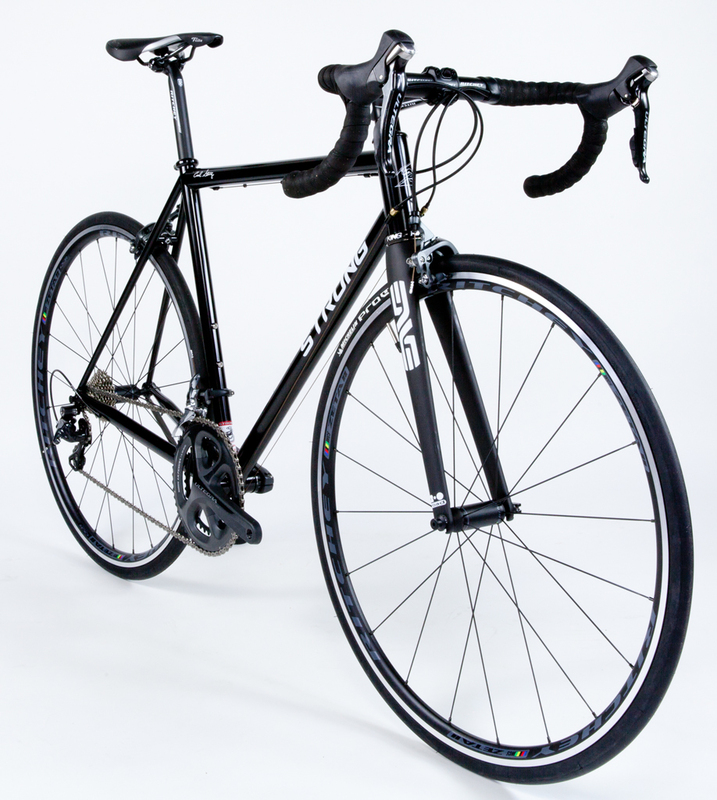 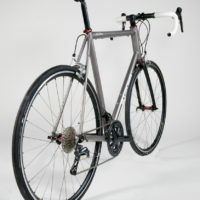 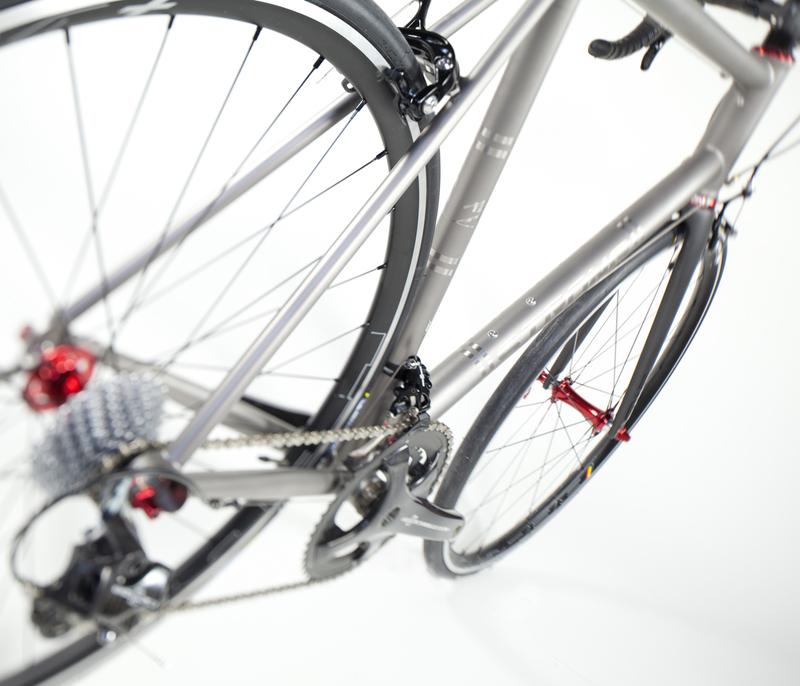 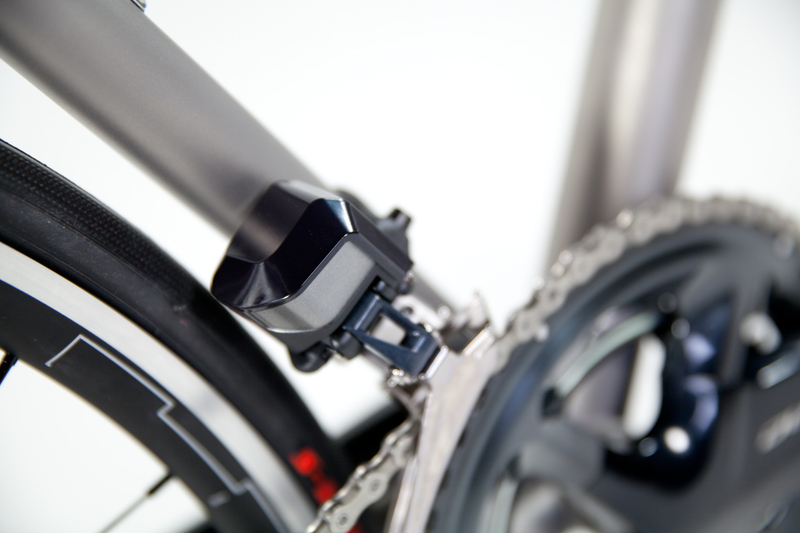 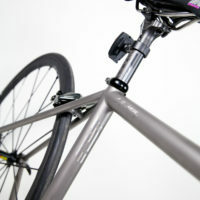 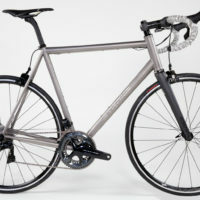 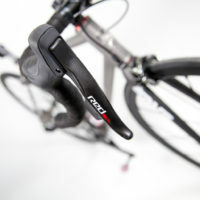 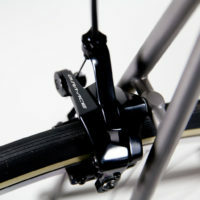 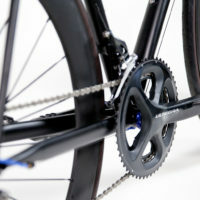 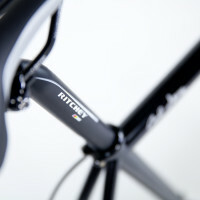 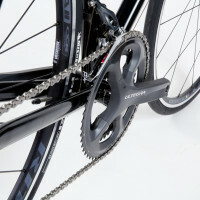 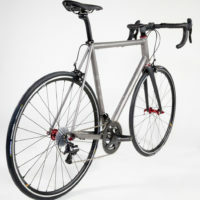 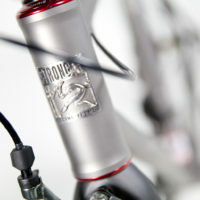 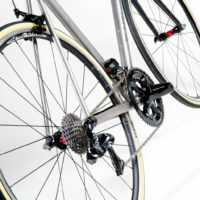 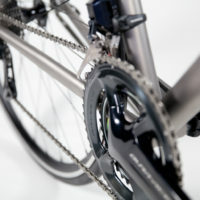 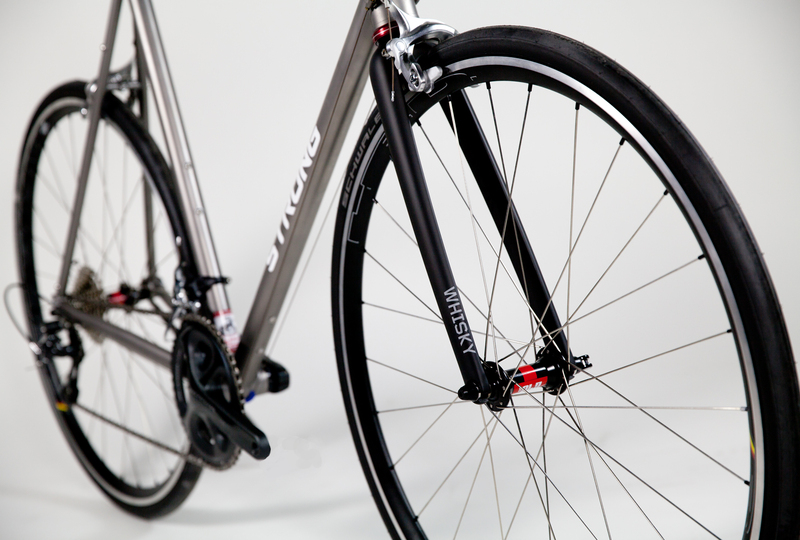 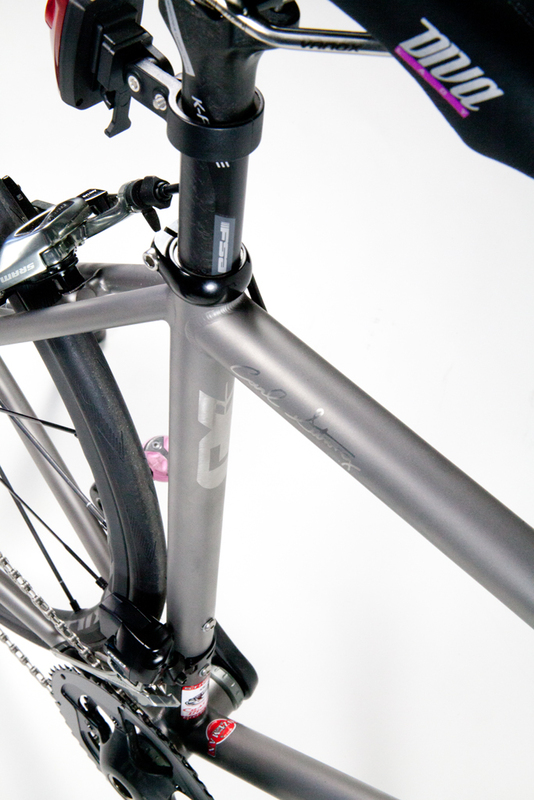 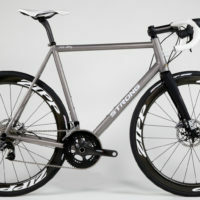 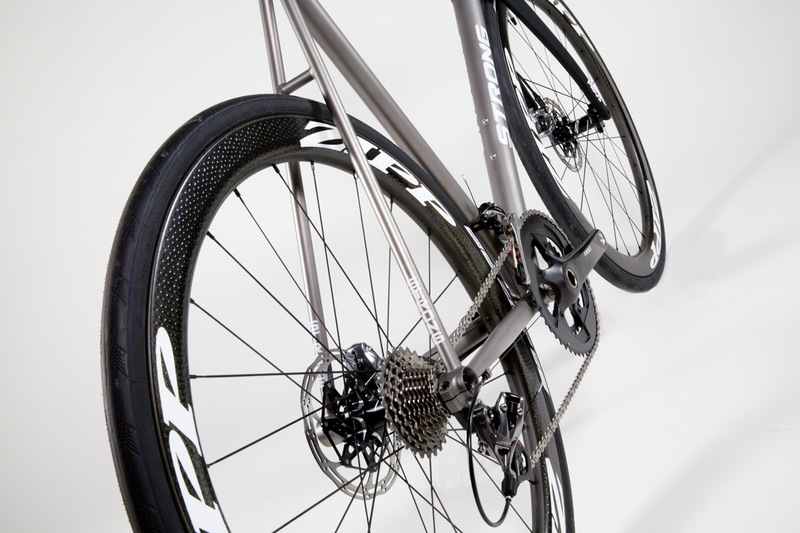 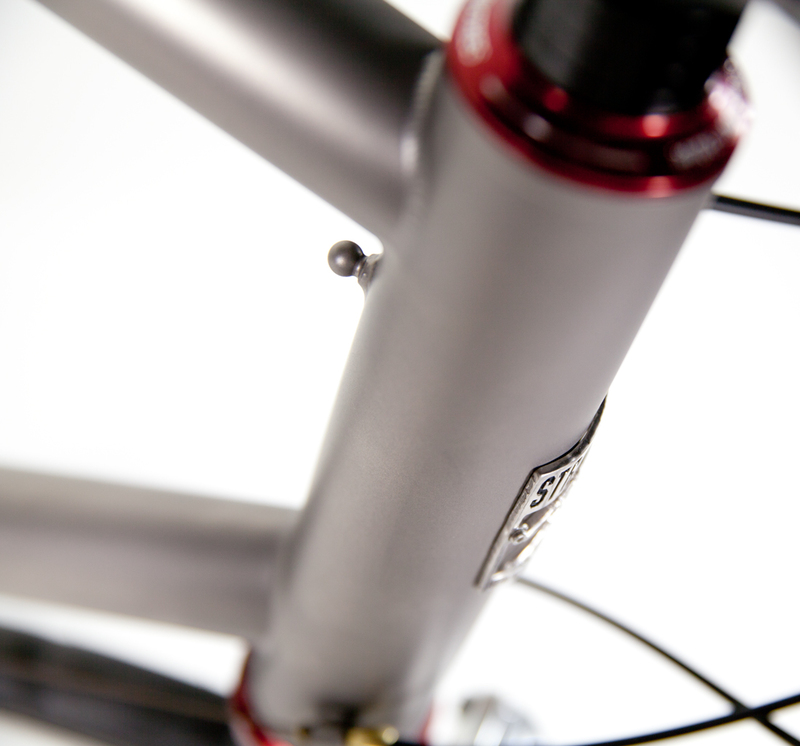 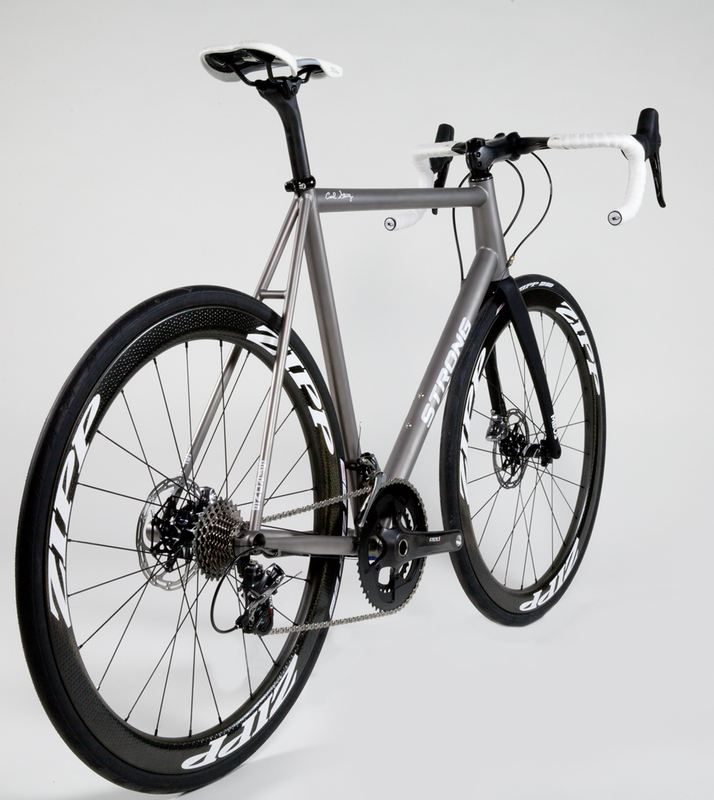 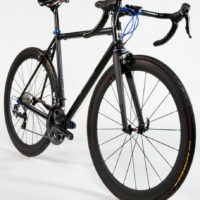 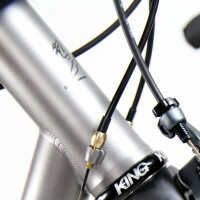 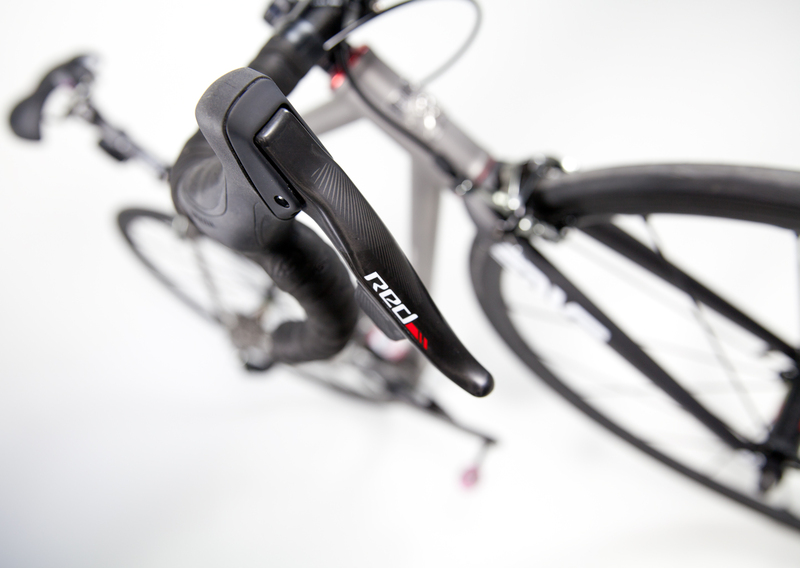 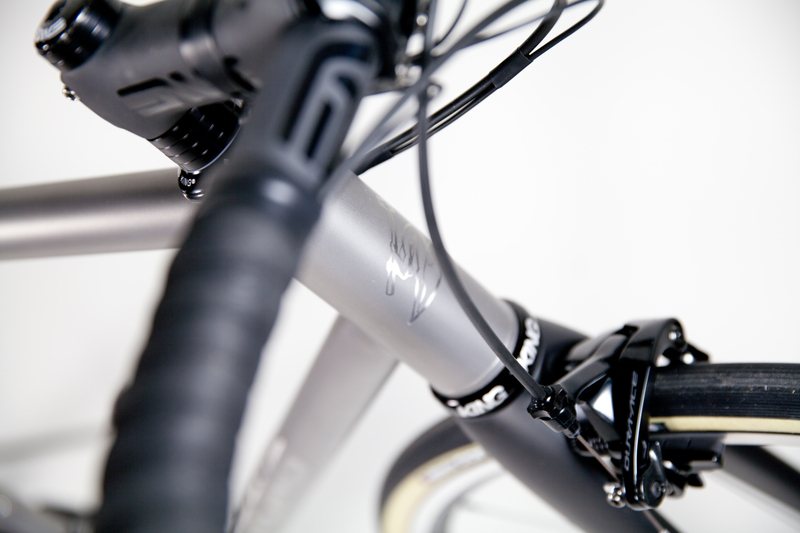 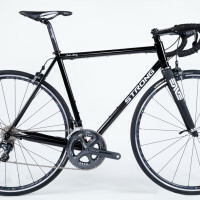 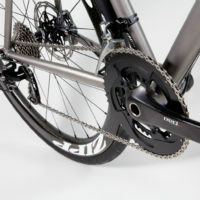 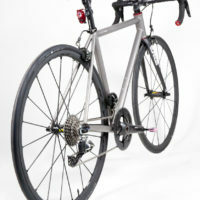 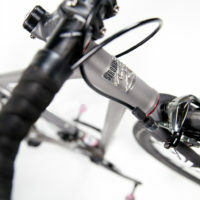 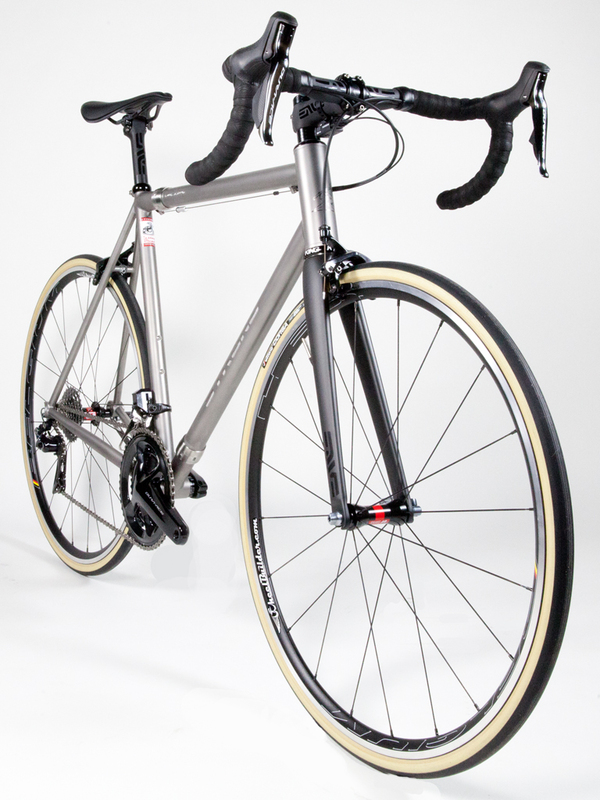 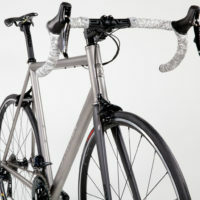 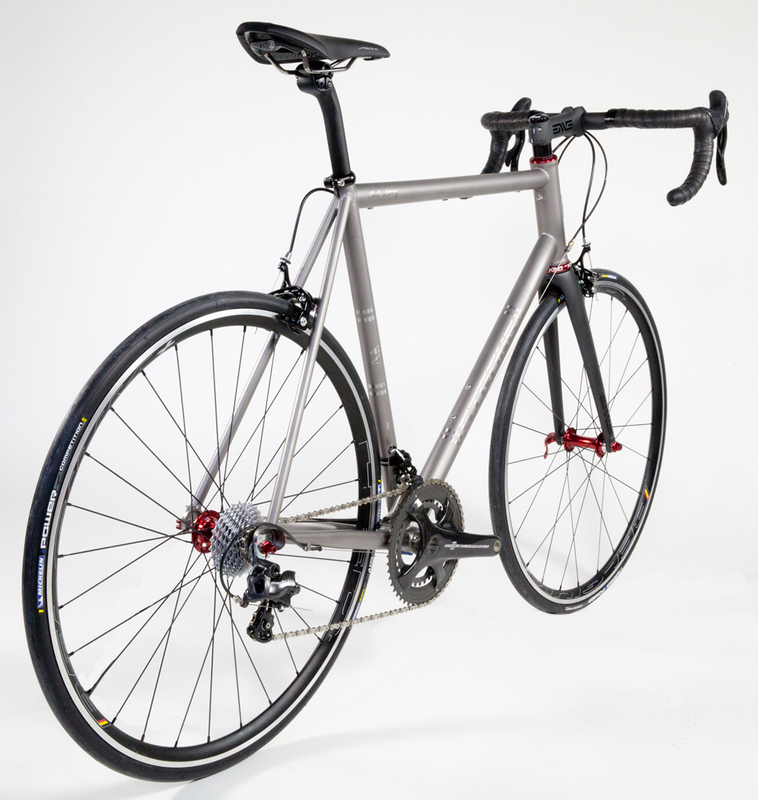 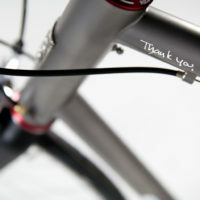 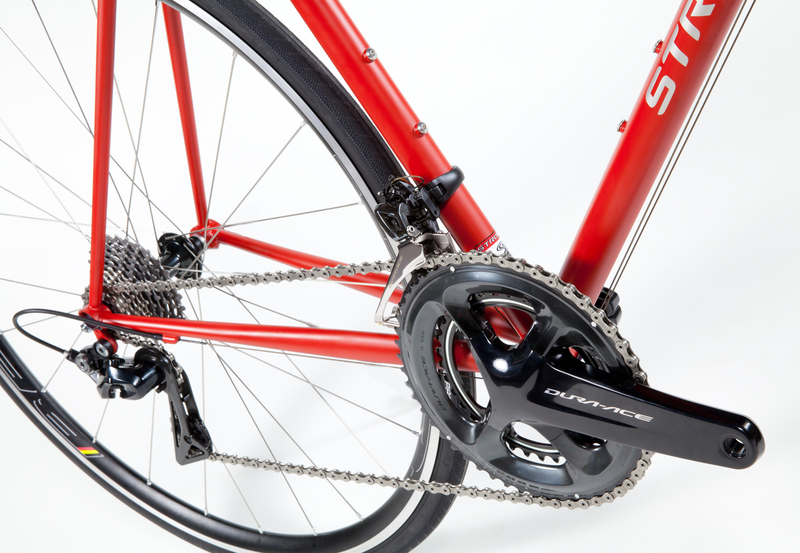 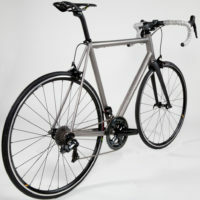 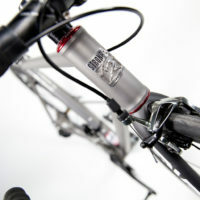 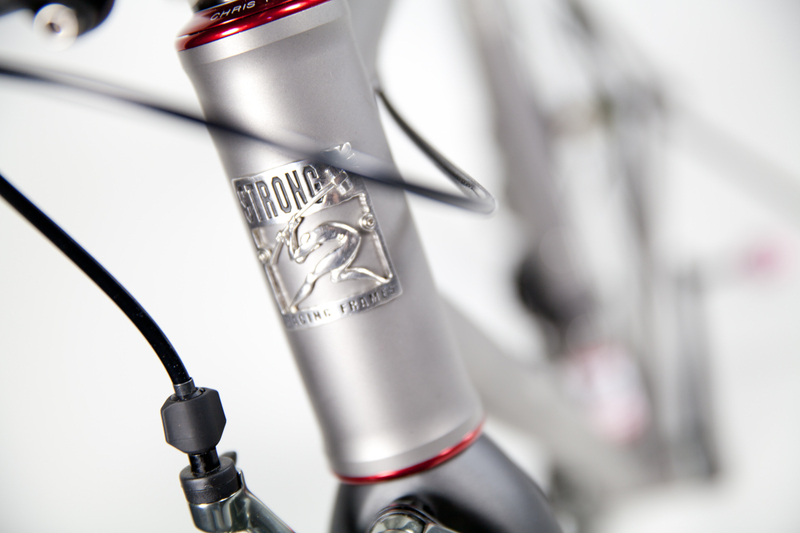 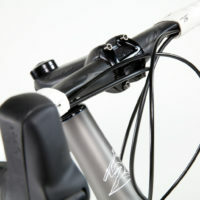 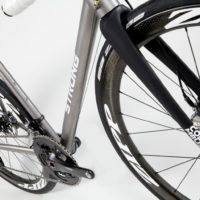 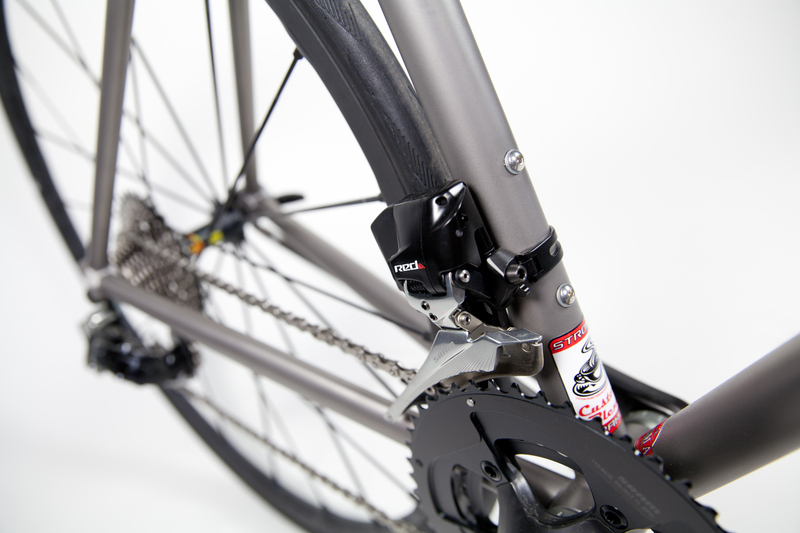 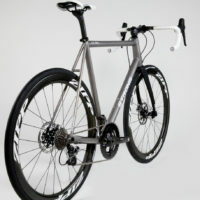 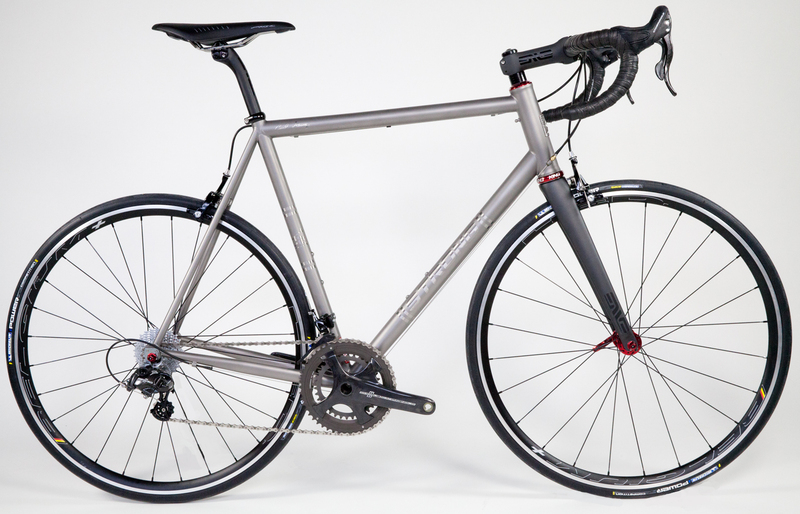 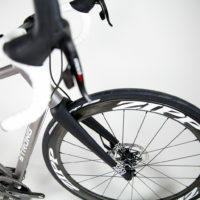 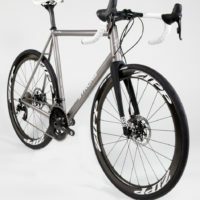 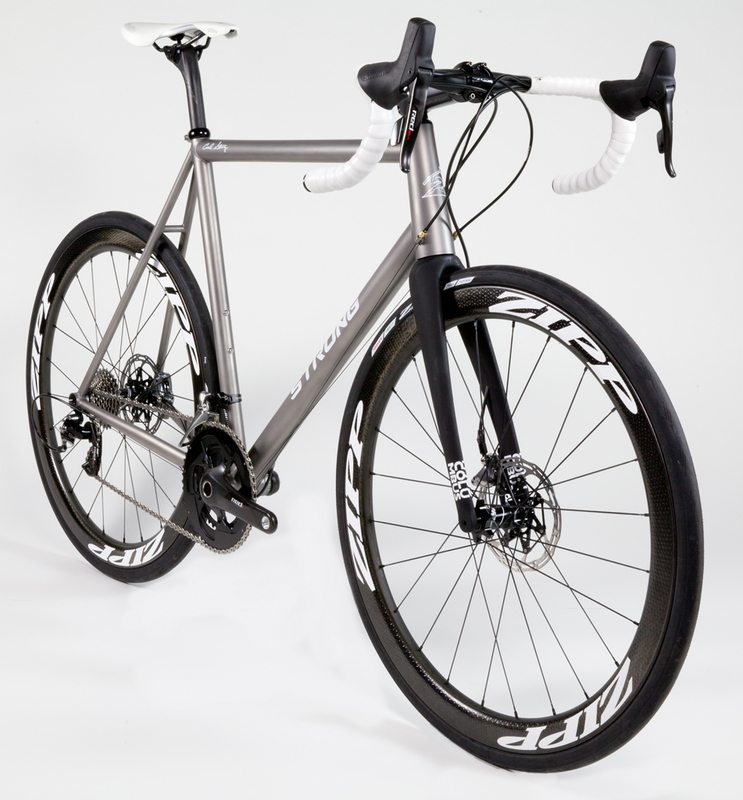 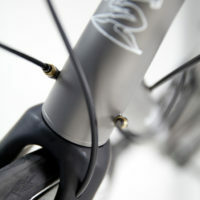 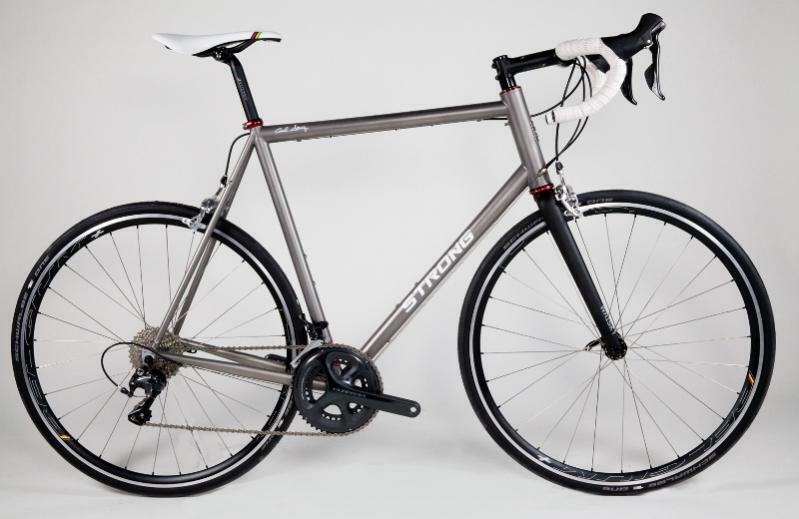 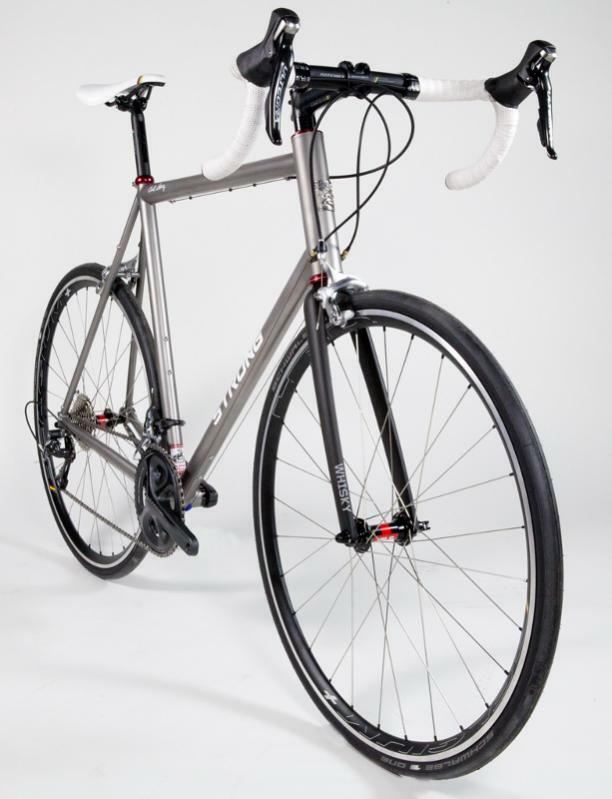 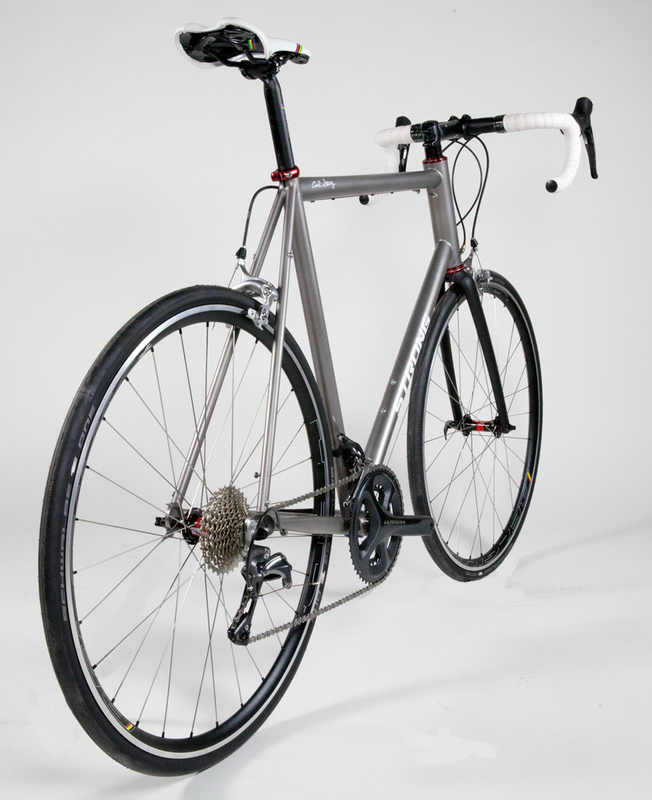 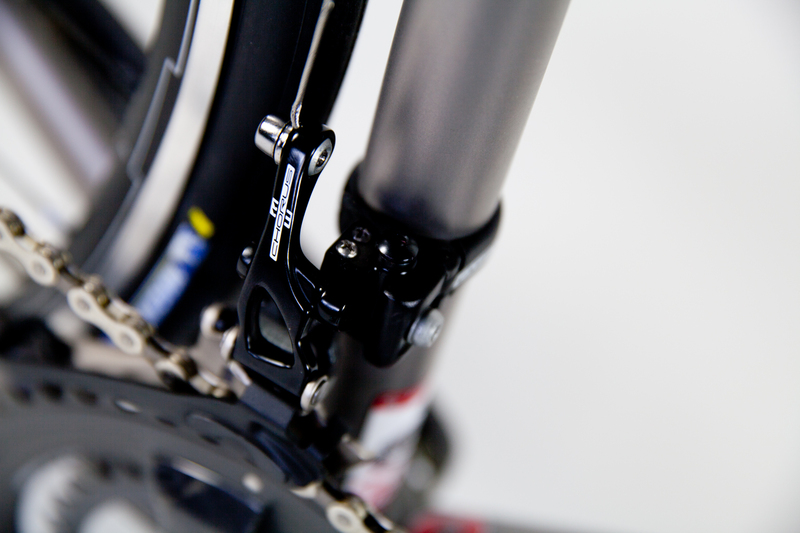 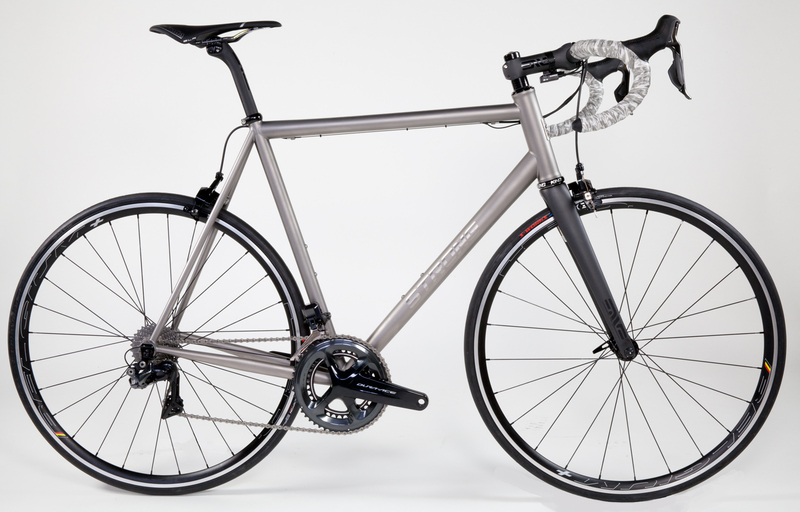 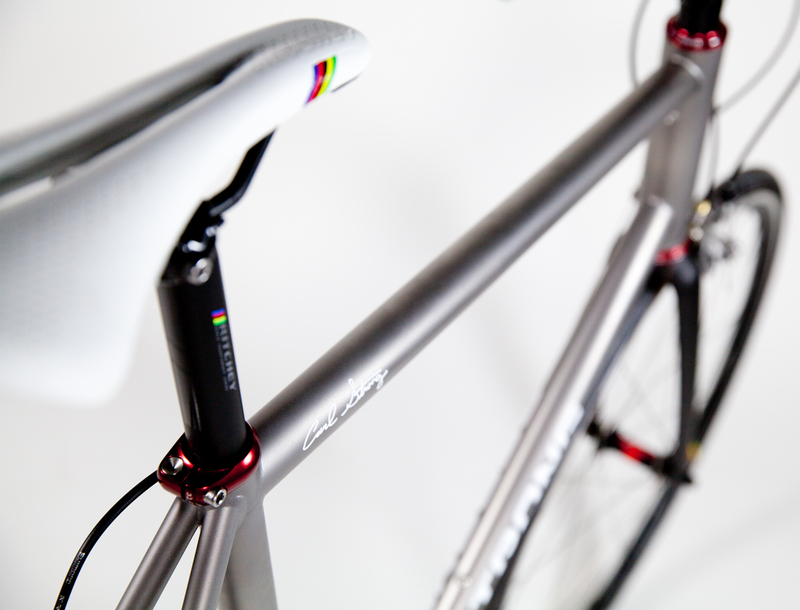 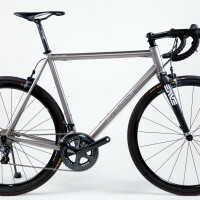 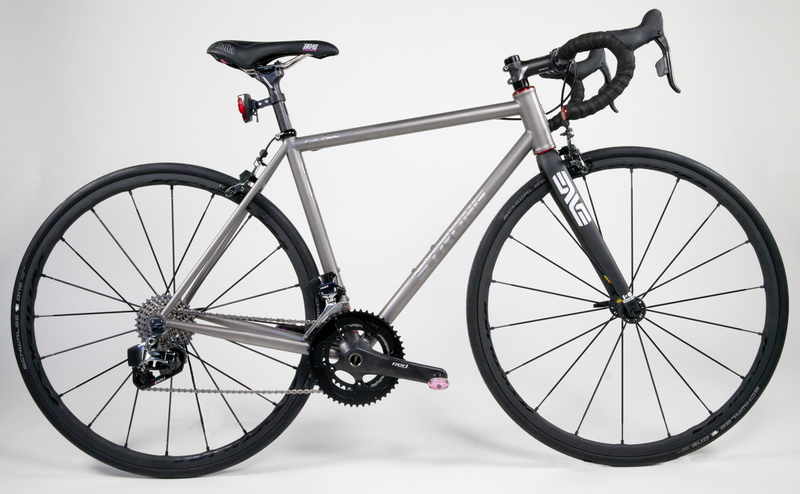 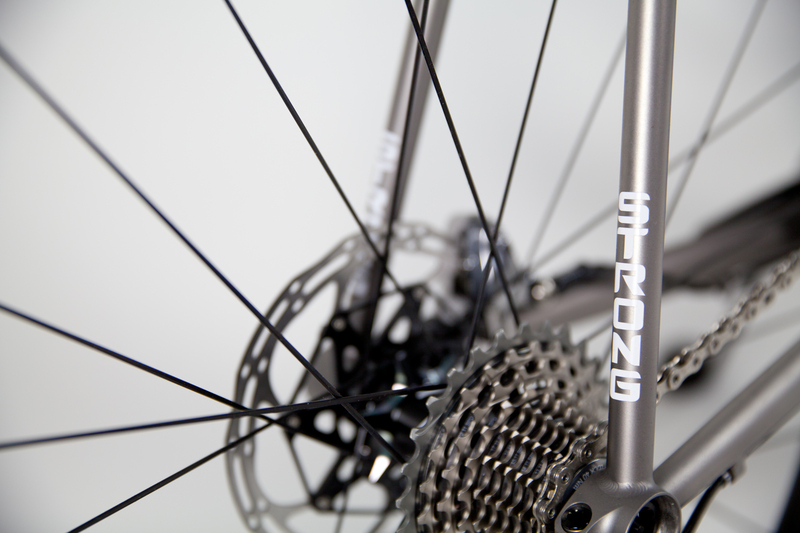 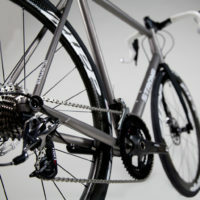 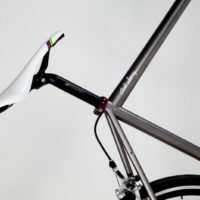 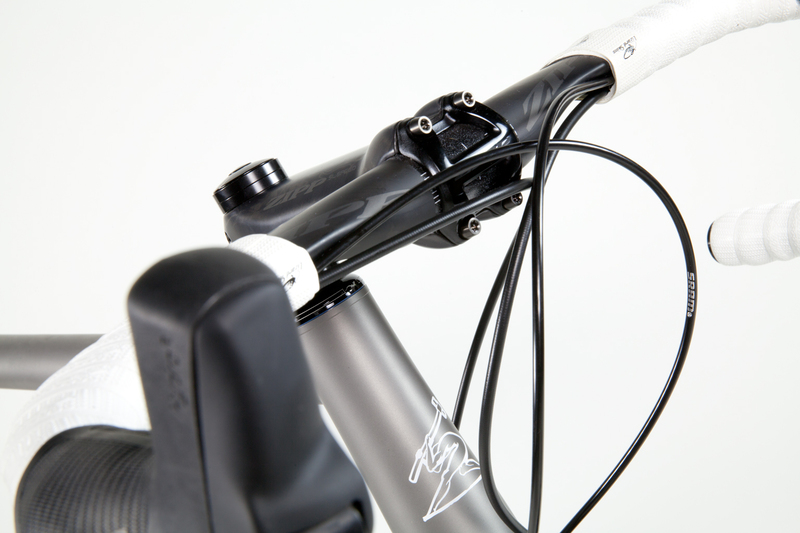 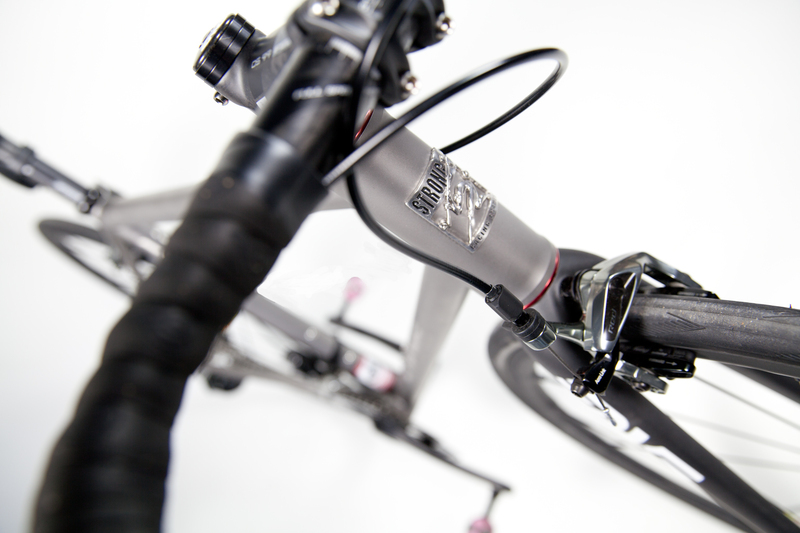 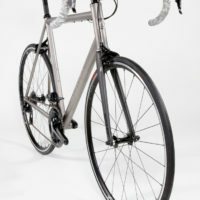 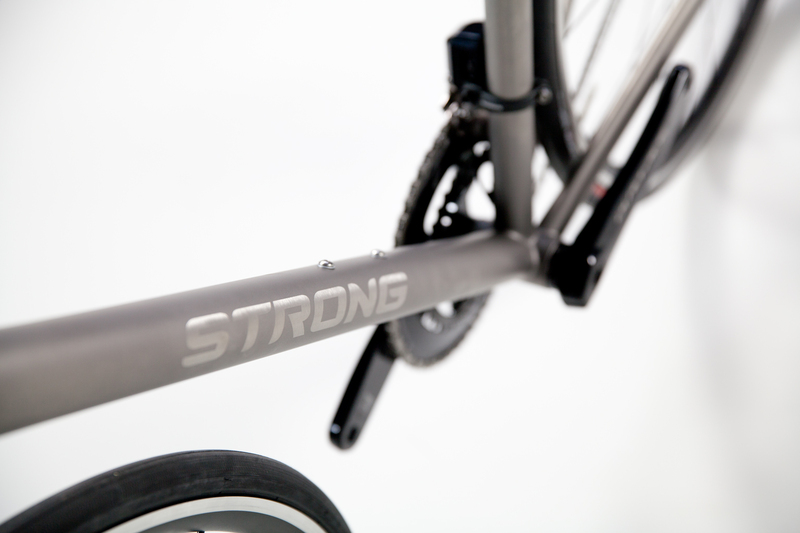 Titanium Road Bicycle with Shimano Dura Ace 9100 Di2. 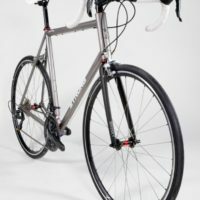 For Sale 2017 NAHBS Show Bike – Titanium Road bike with SRAM Red, Zipp Wheels, Bar, Post and Stem. 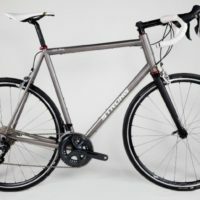 Pricing and info here. 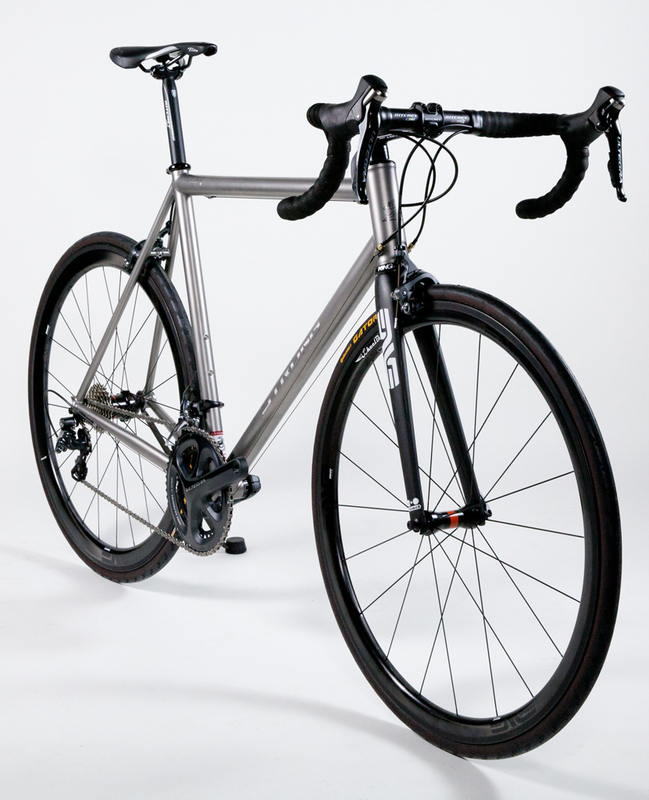 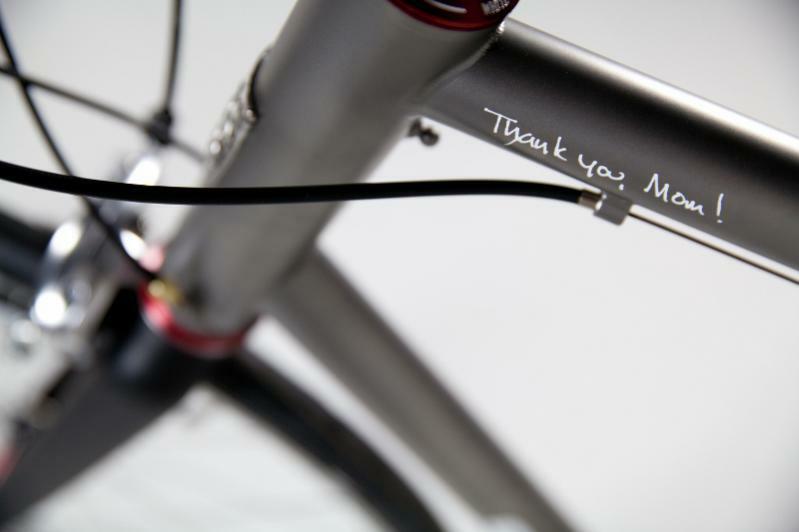 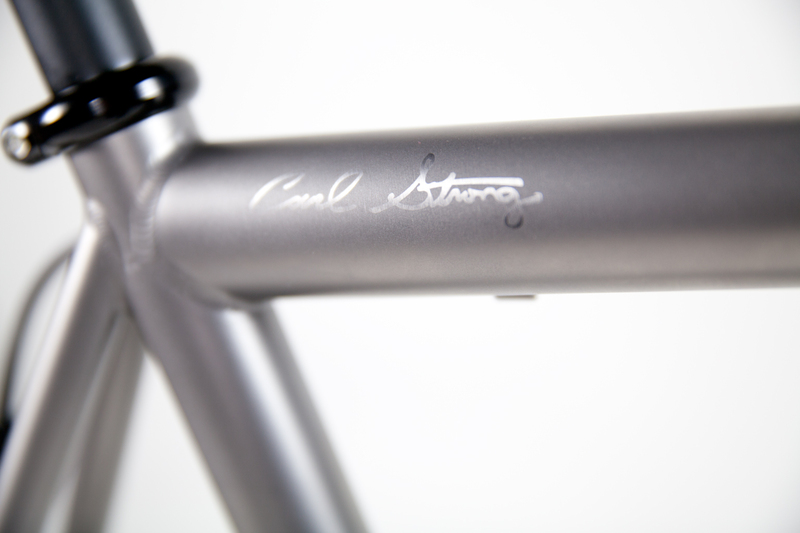 A classic custom steel road bike. 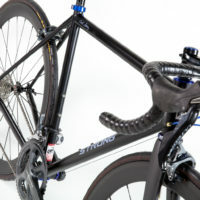 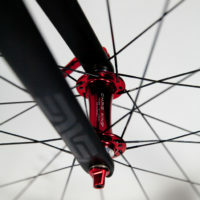 This one with Enve fork painted to match, Shimano Dura Ace, custom wheels and a Rtichey cockpit. 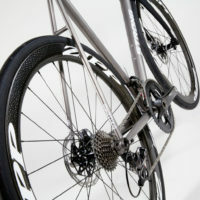 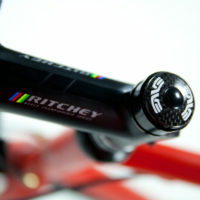 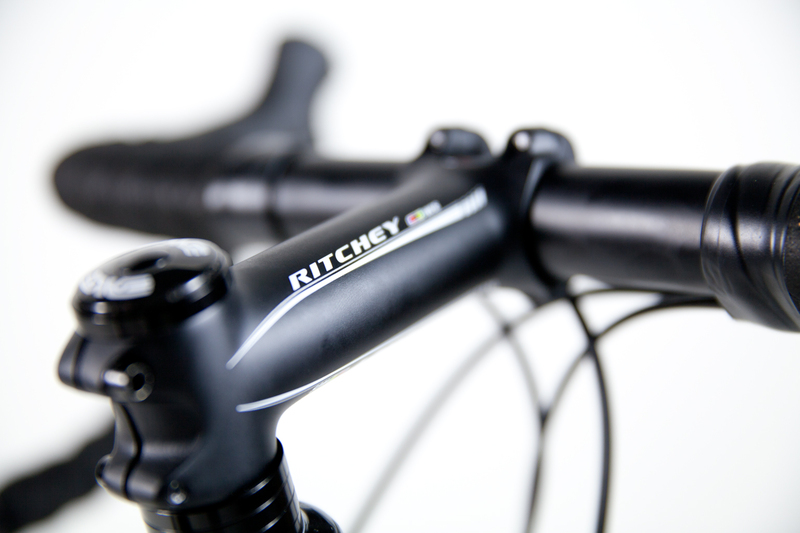 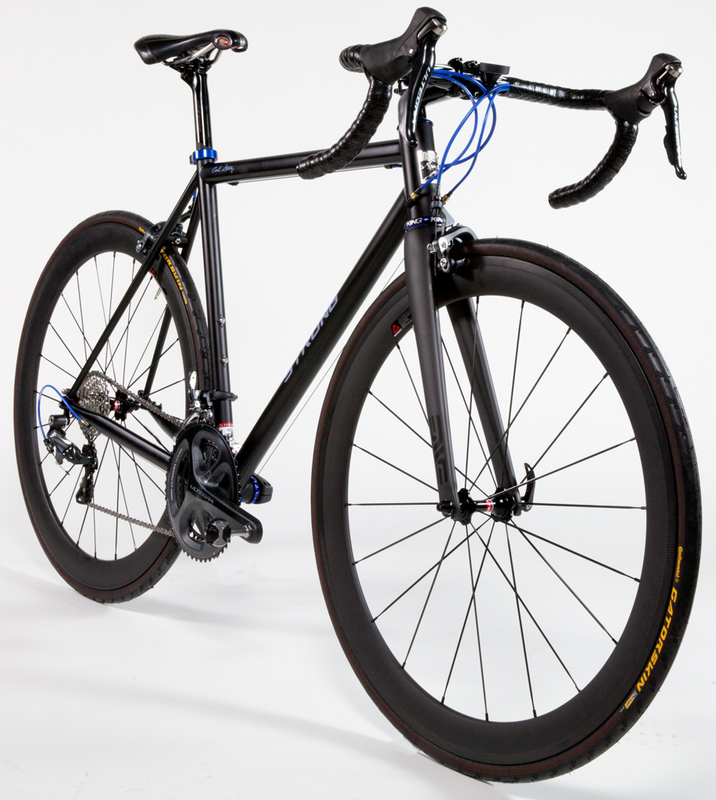 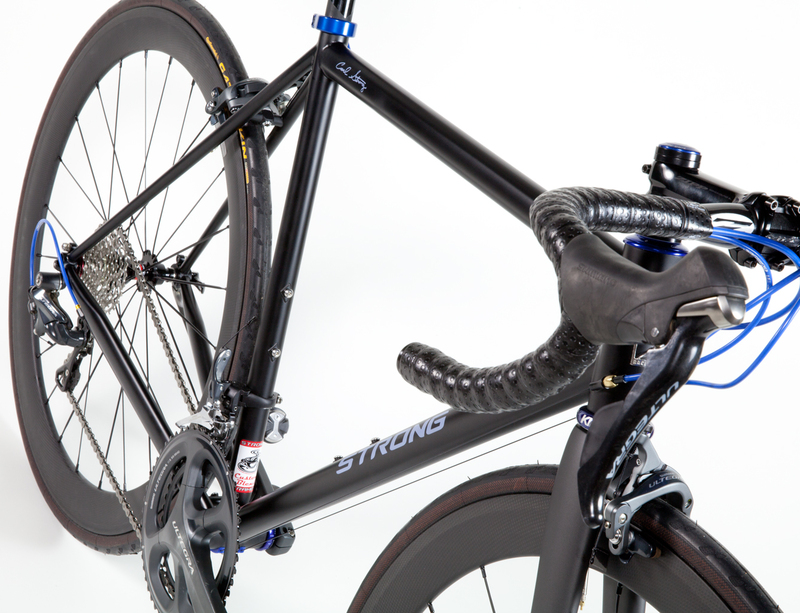 See more road bikes in our road bike galleries here. 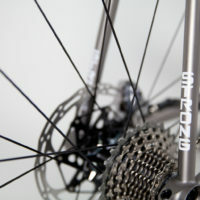 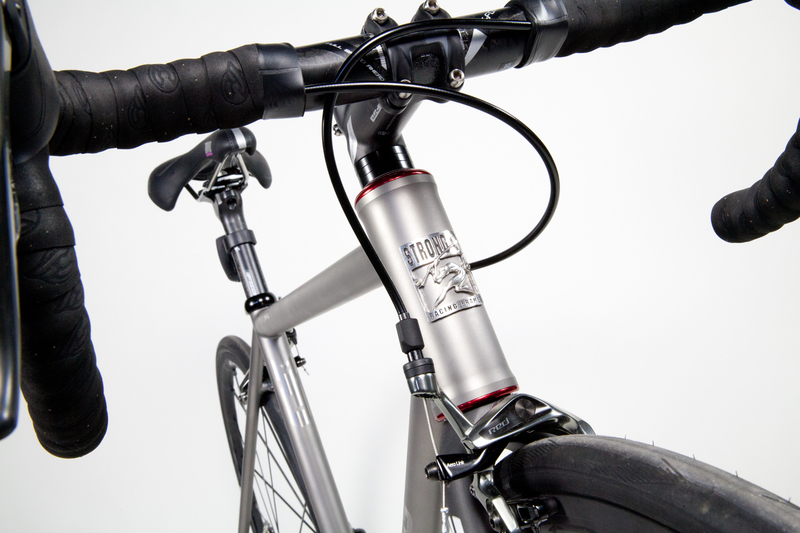 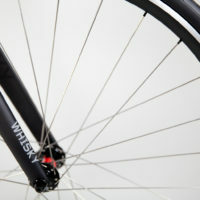 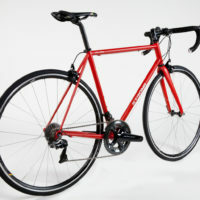 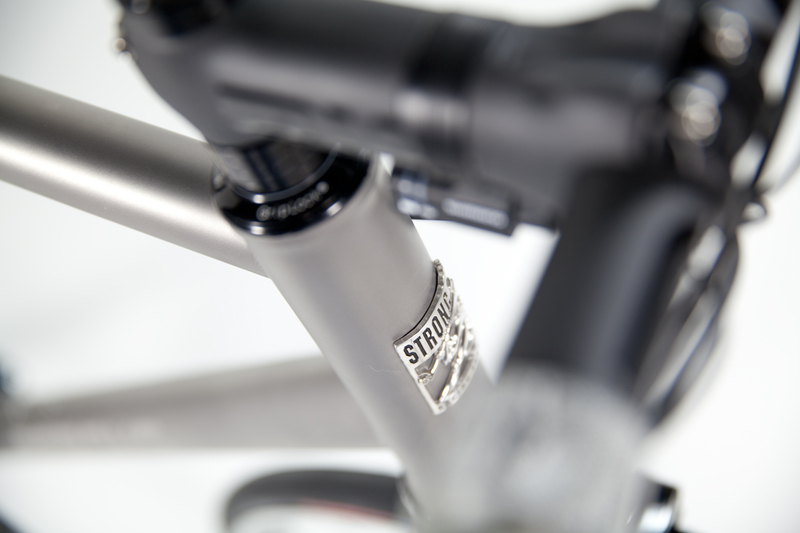 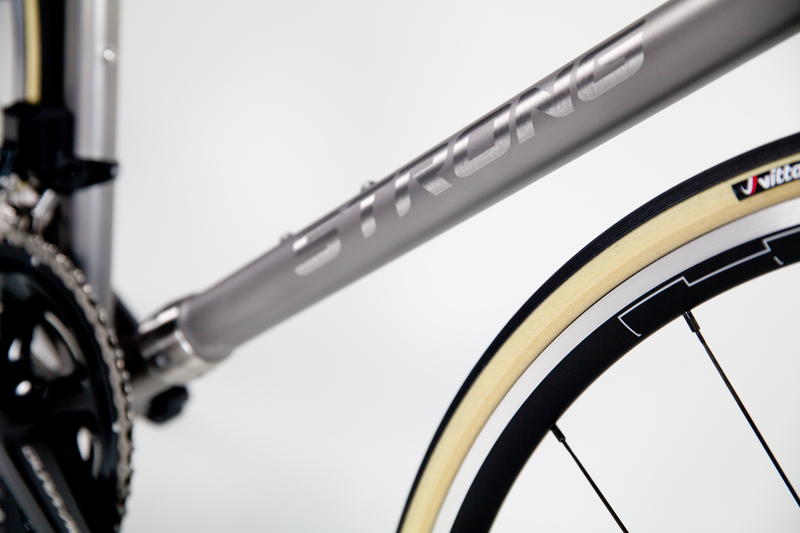 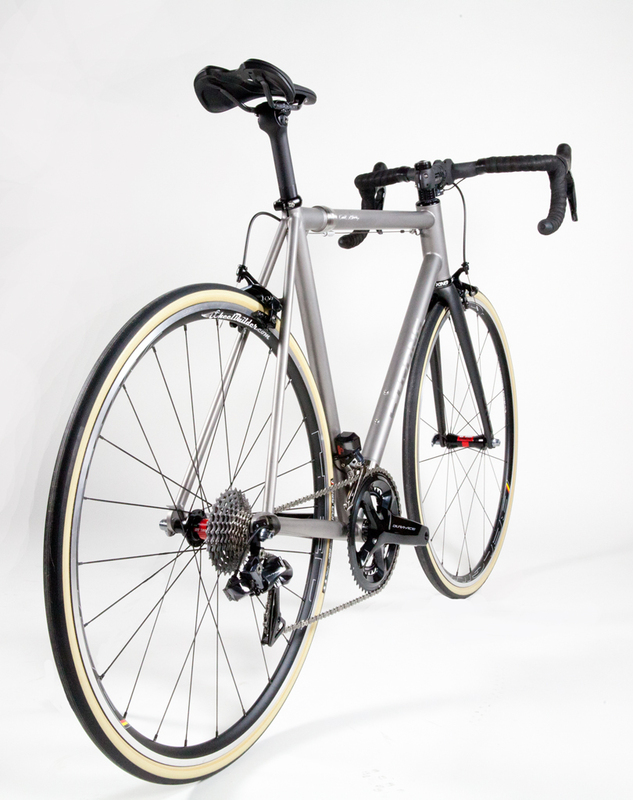 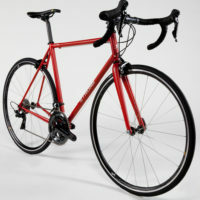 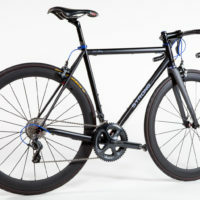 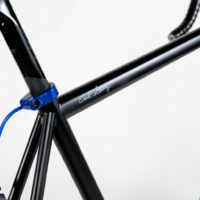 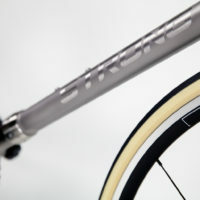 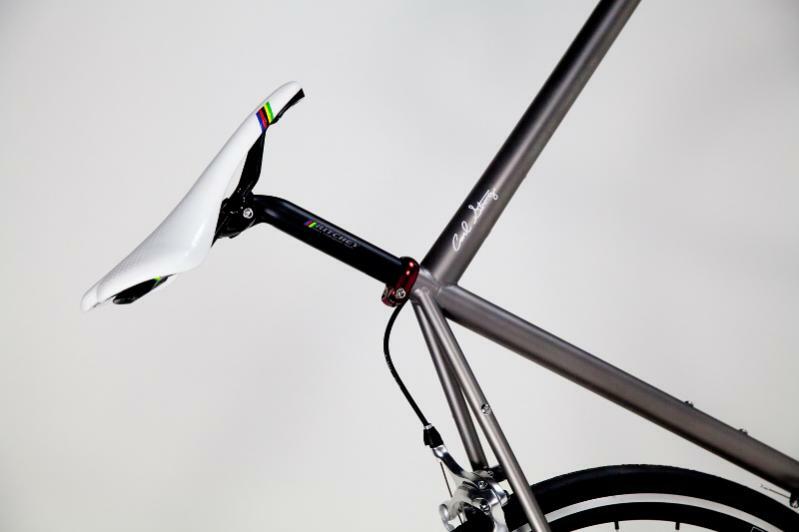 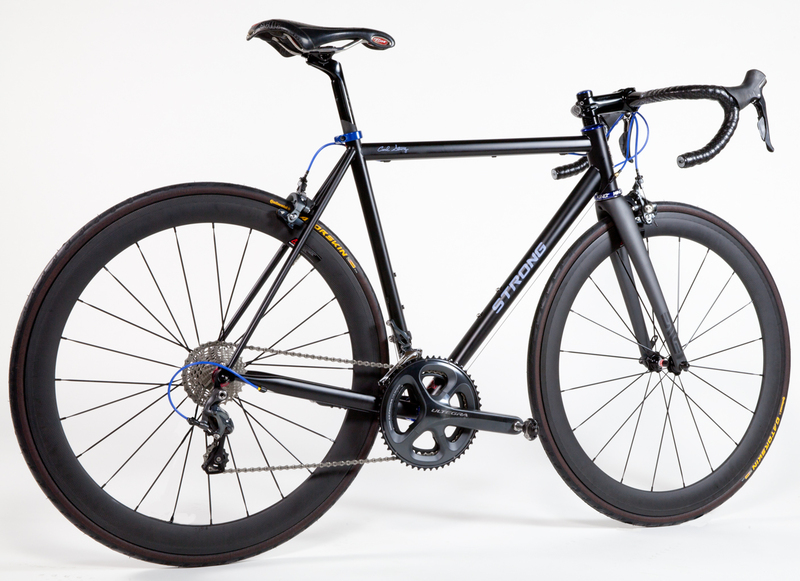 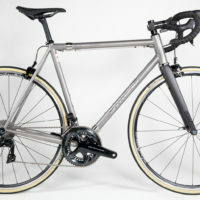 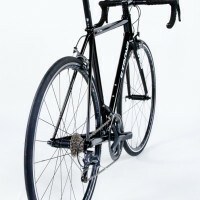 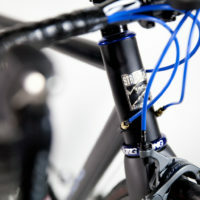 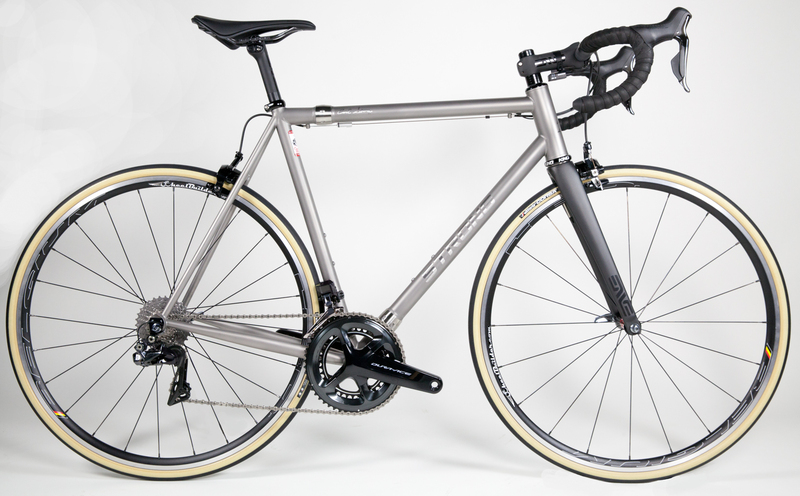 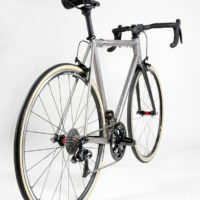 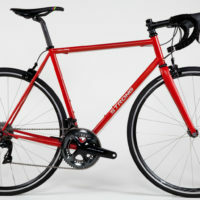 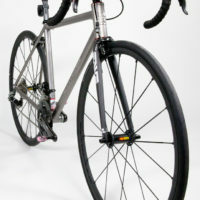 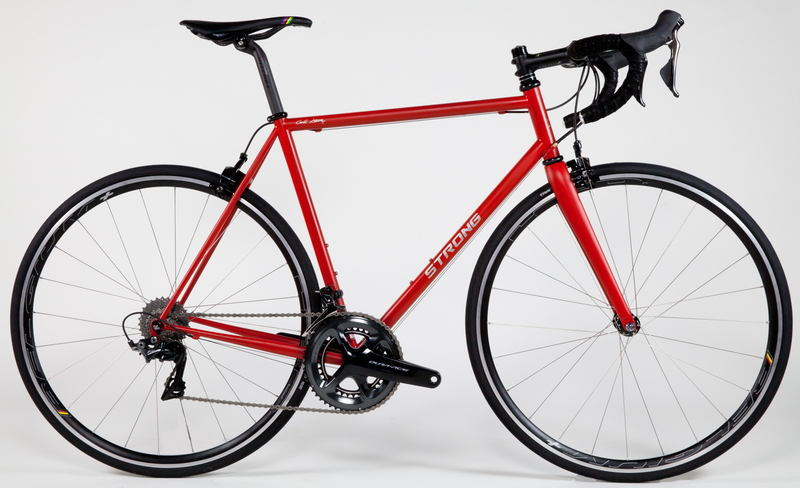 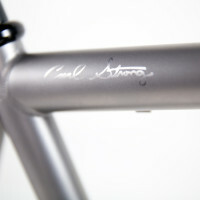 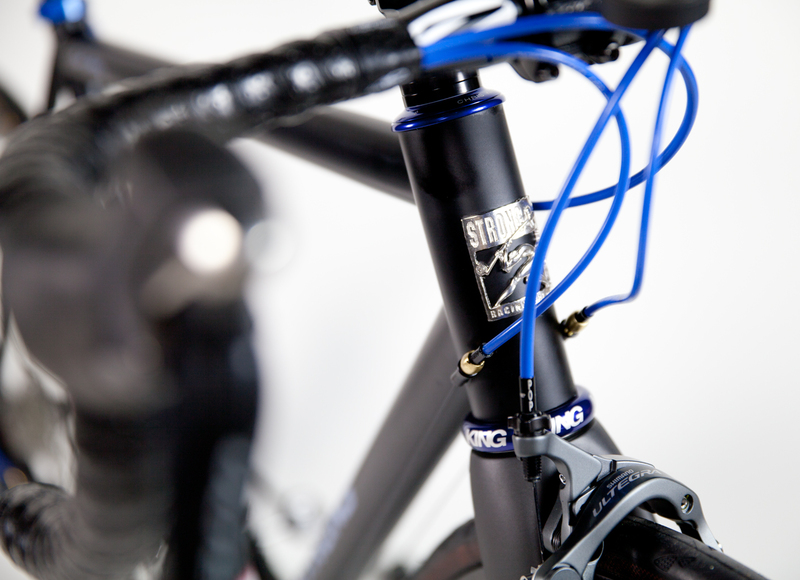 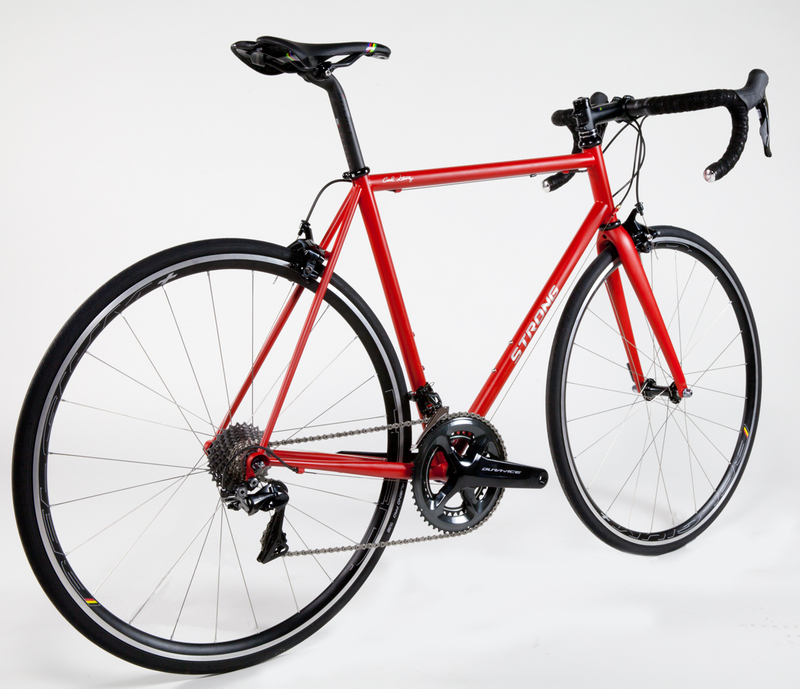 Extralite Steel road bike. 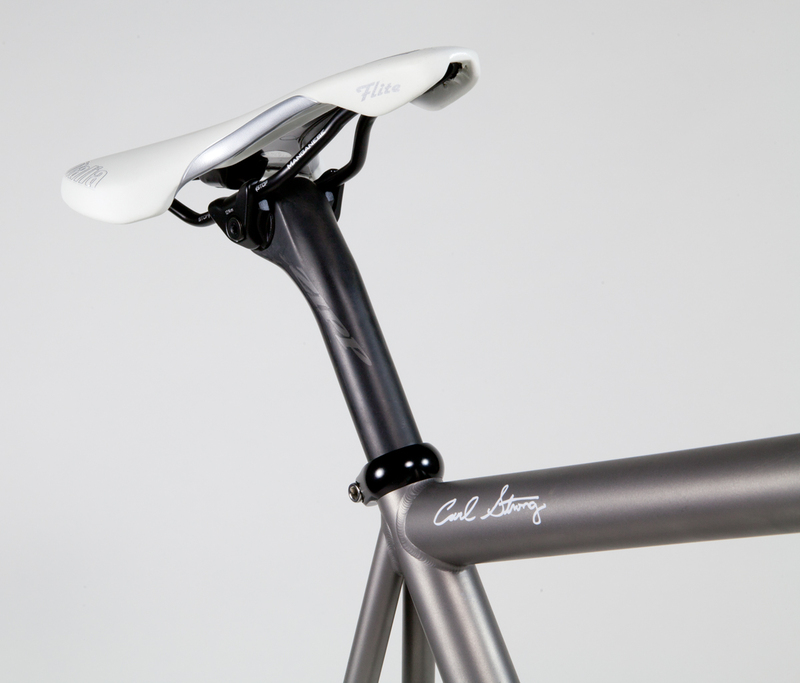 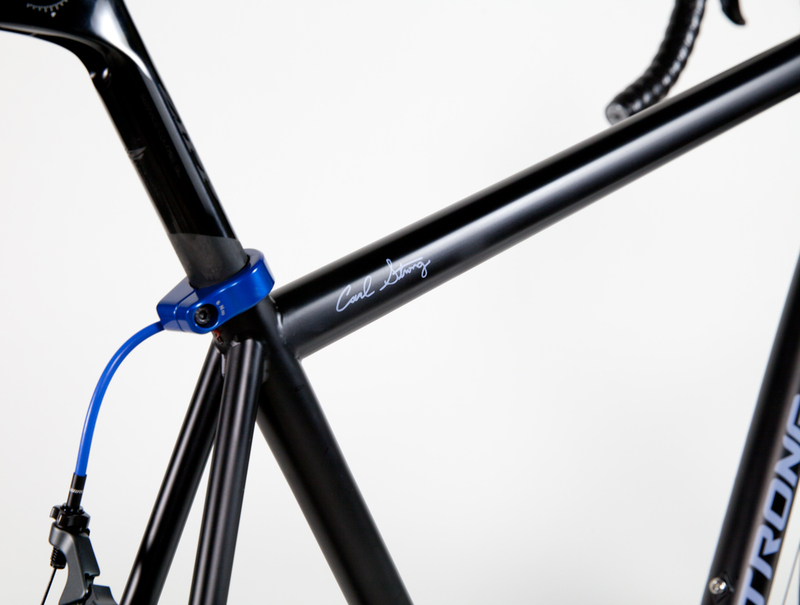 Made from a blend of Columbus Spirit and Life along with True Temper S3. 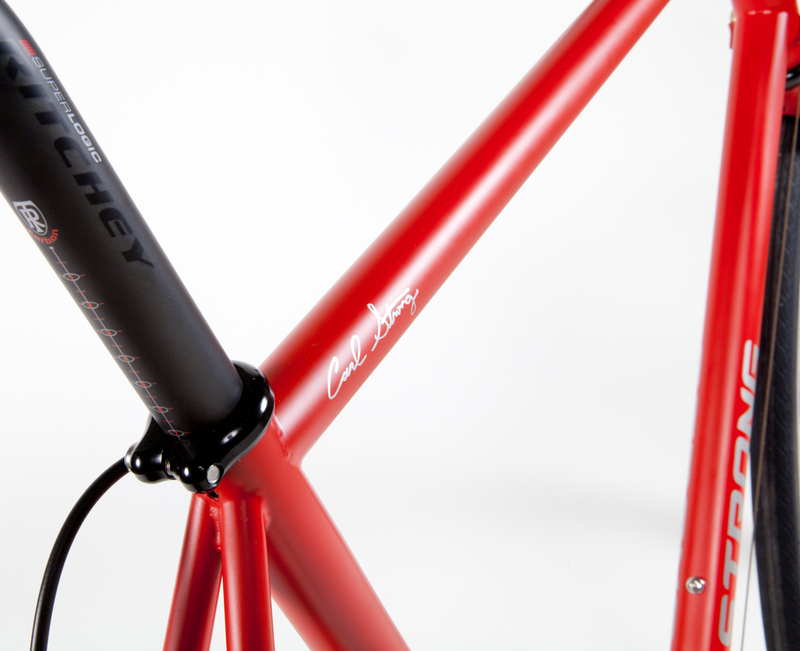 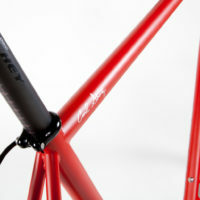 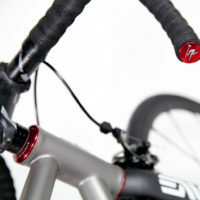 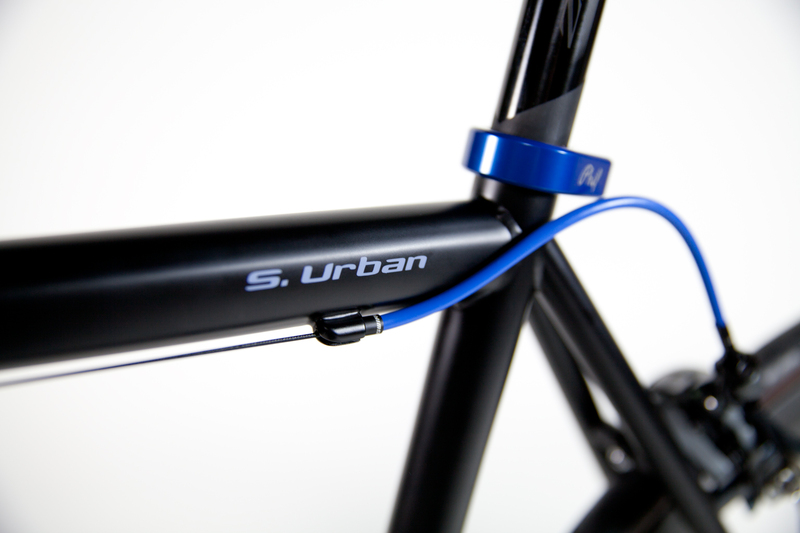 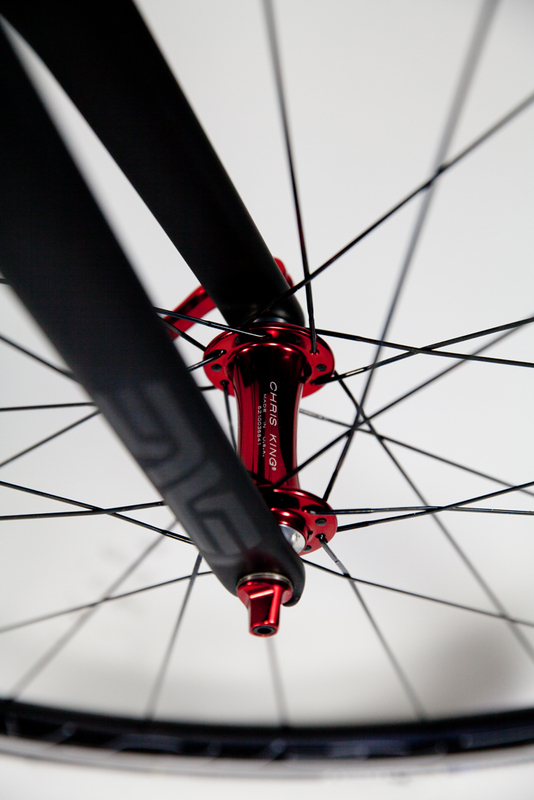 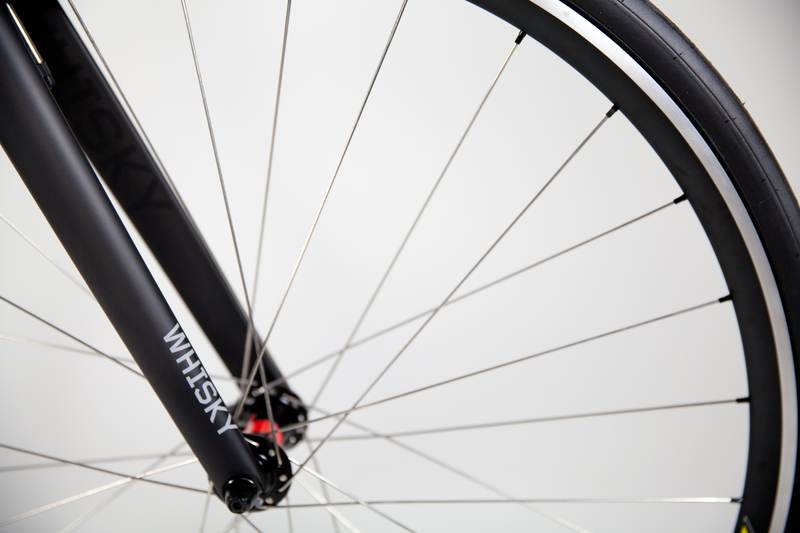 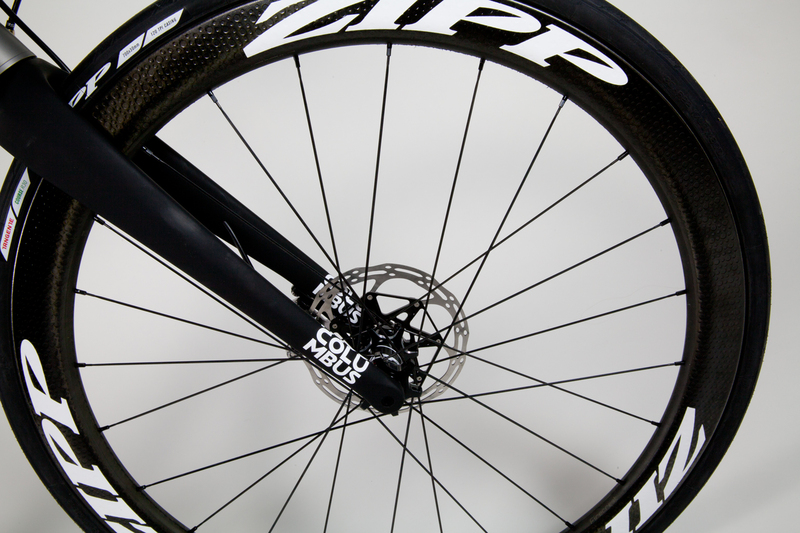 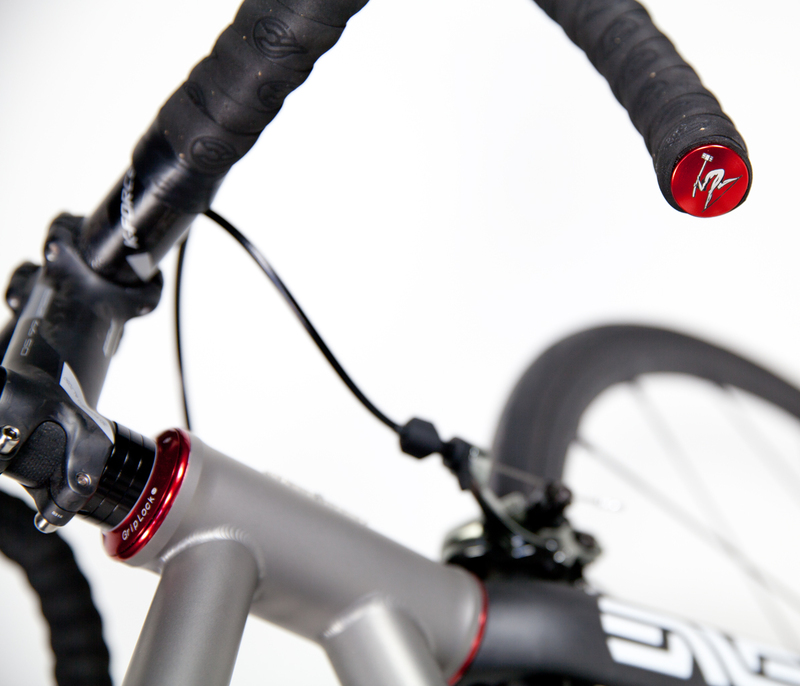 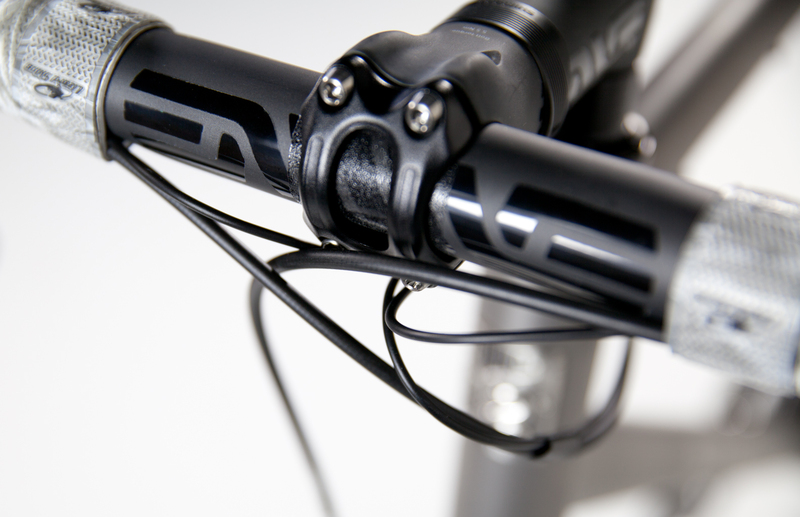 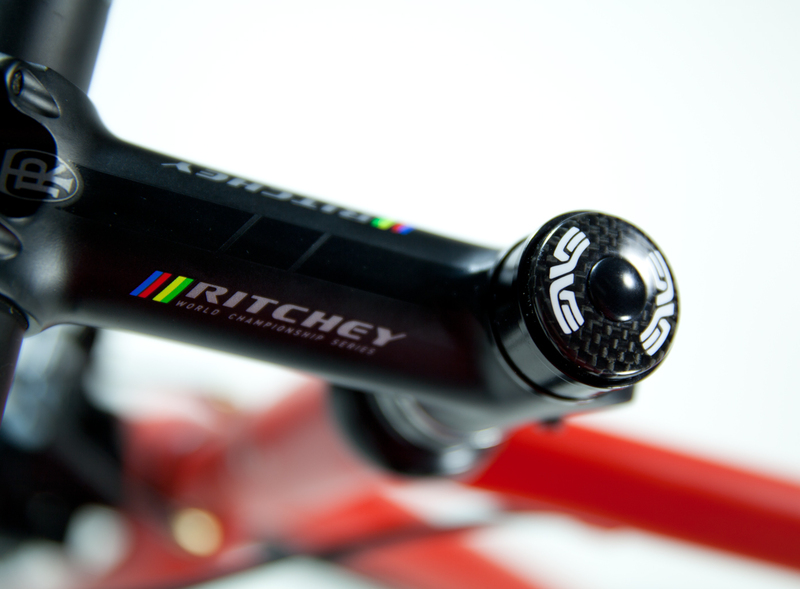 This tube combination produces a stiff racey feel without adding a lot of weight. 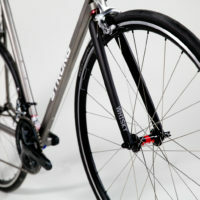 Custom Blend steel road bikes with Ultegra 6800, Ritchey cockpit and wheels and Enve fork.